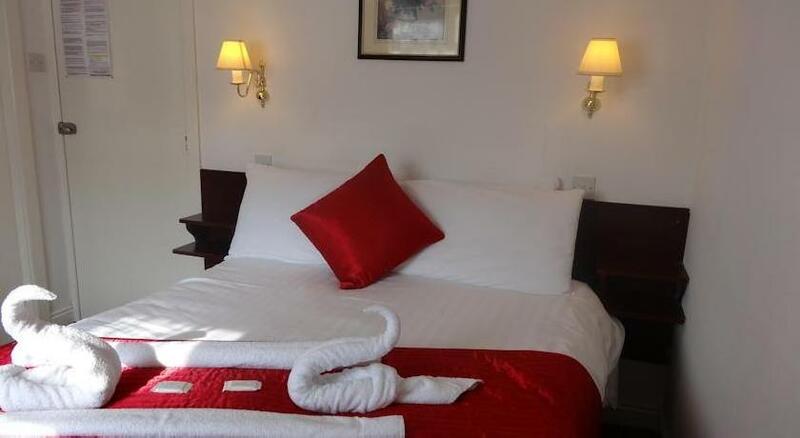 When would you like to stay in hotel The Kensington Hotel? 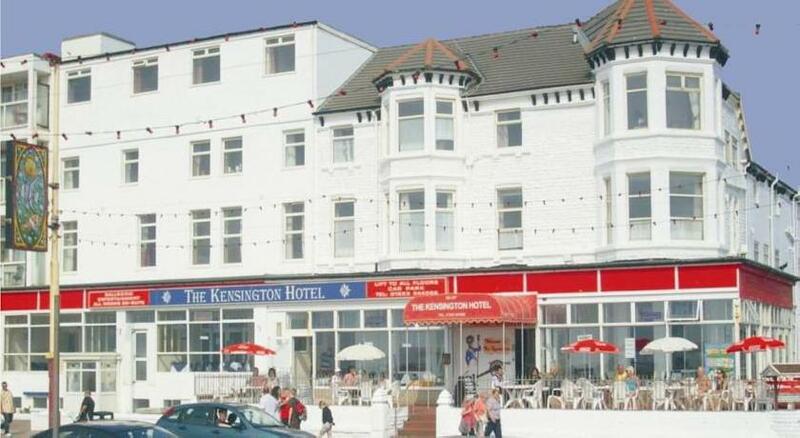 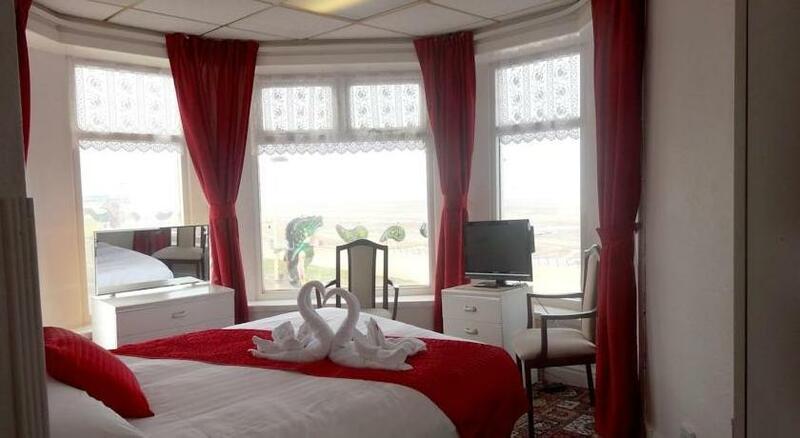 Opposite Blackpool beach and on the promenade, The Kensington Hotel is located between Blackpool’s Central Pier and South Pier. 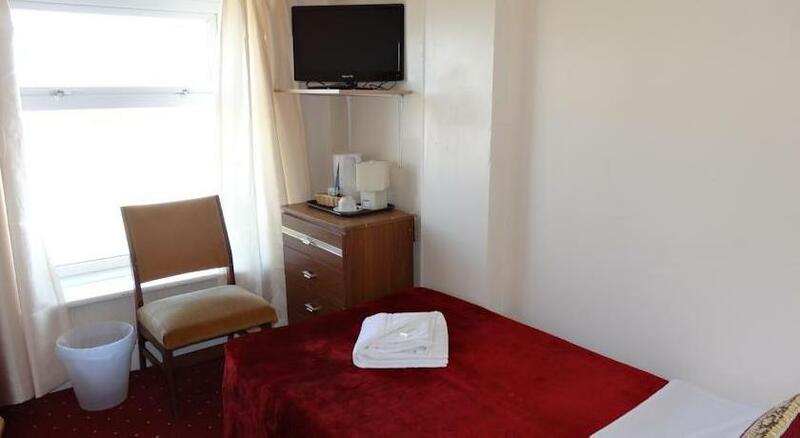 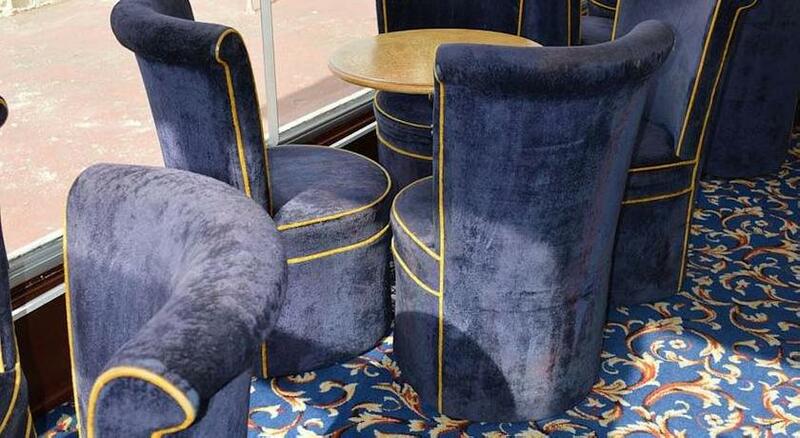 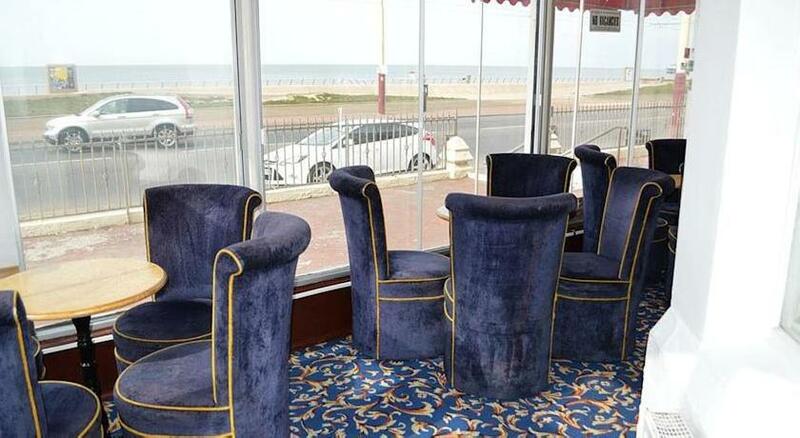 Free on-site parking is available and the hotel’s sun lounge has sea views. 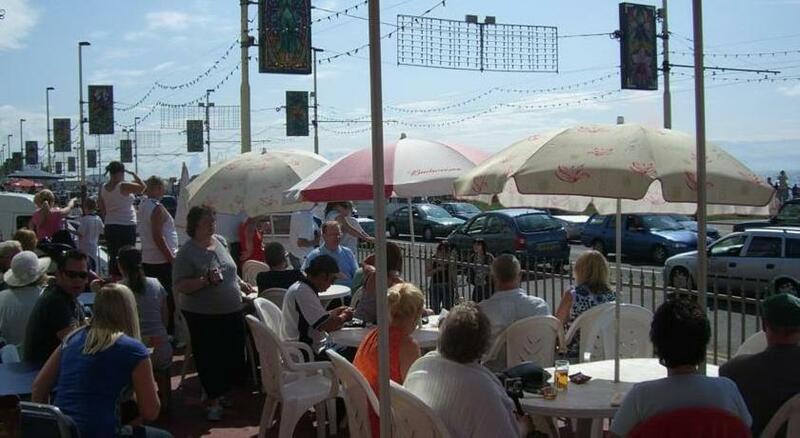 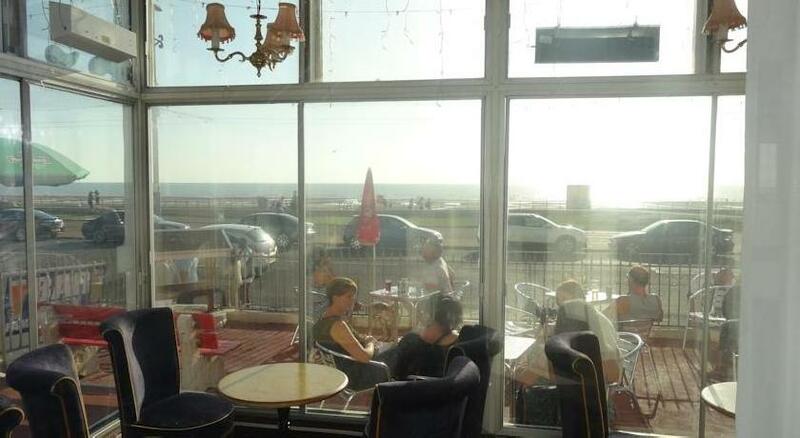 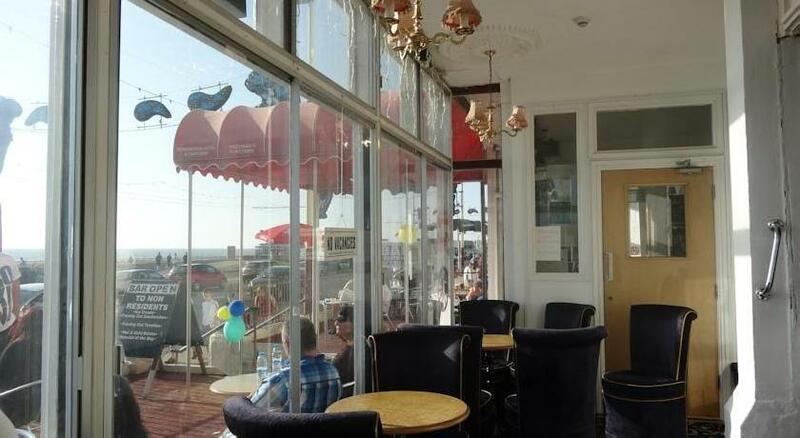 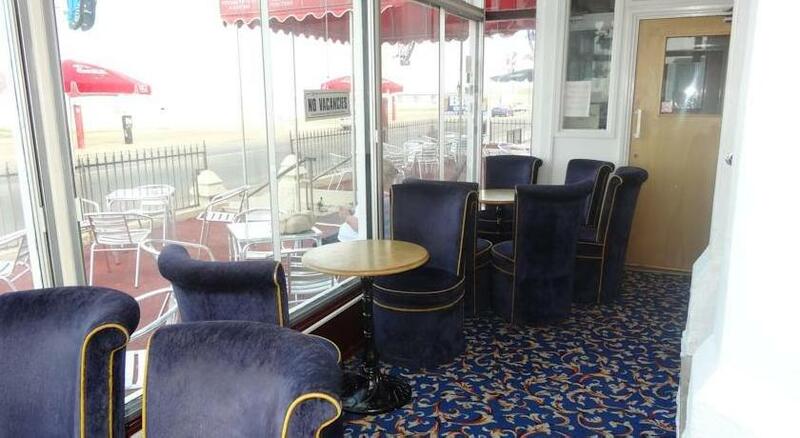 Drinks can be enjoyed on the terraced seating area, which faces the seafront. 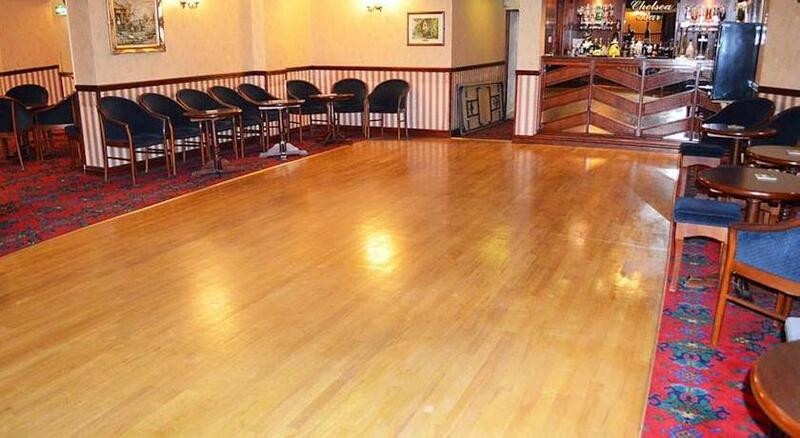 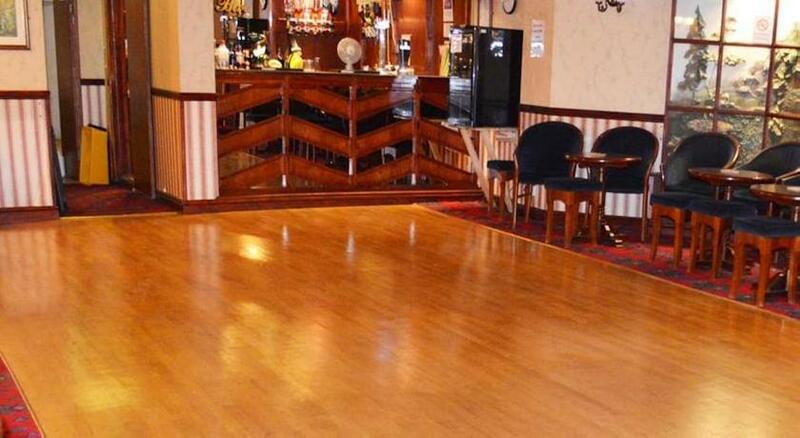 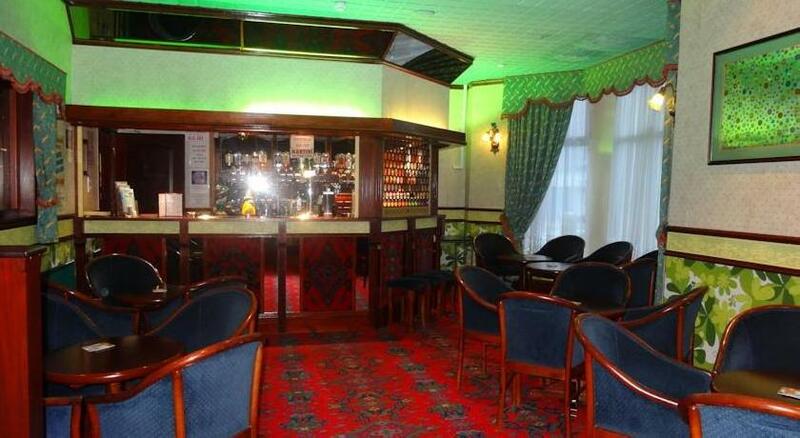 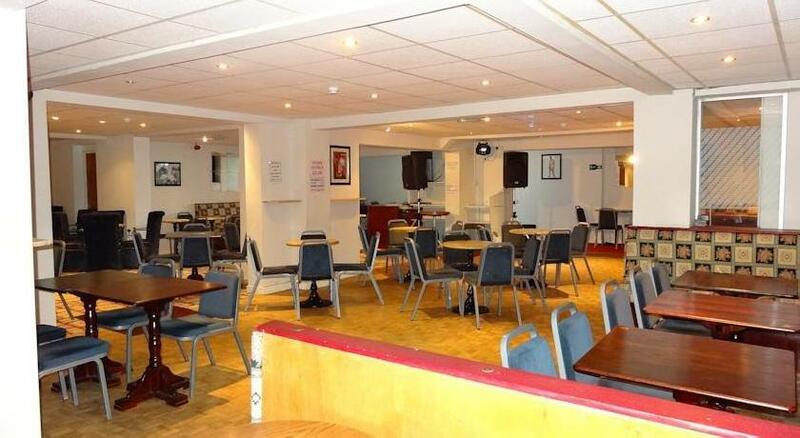 The Kensington’s Ballroom and Chelsea Bar host regular entertainment, including cabaret music and dancing. 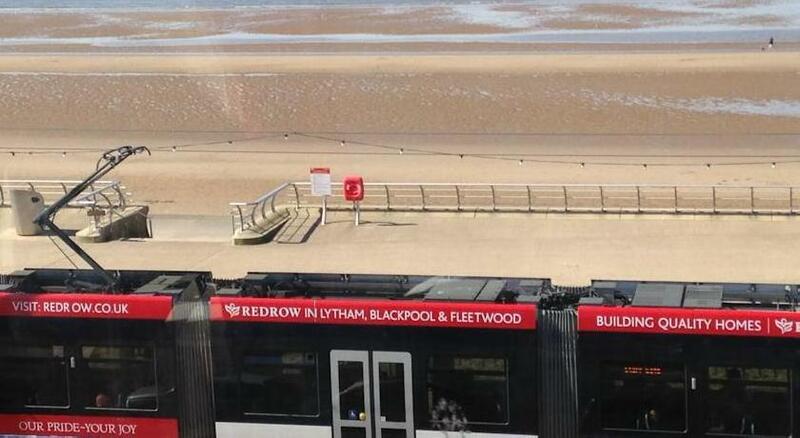 The tram stop opposite the hotel provides regular connections to Blackpool Pleasure Beach, a theme park, and Blackpool Tower, a popular events venue. 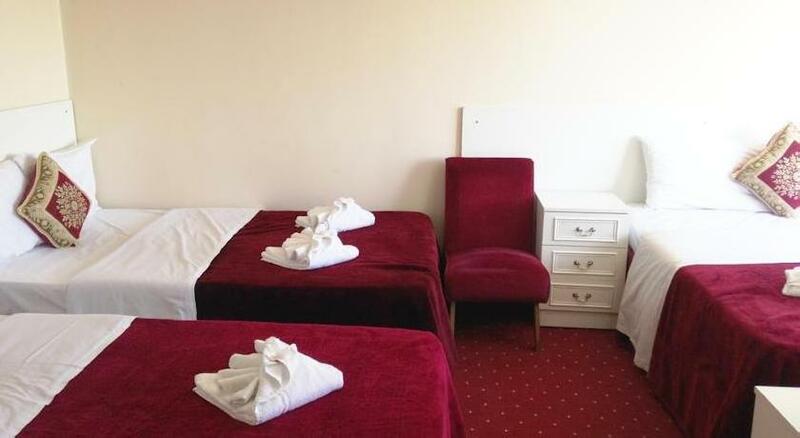 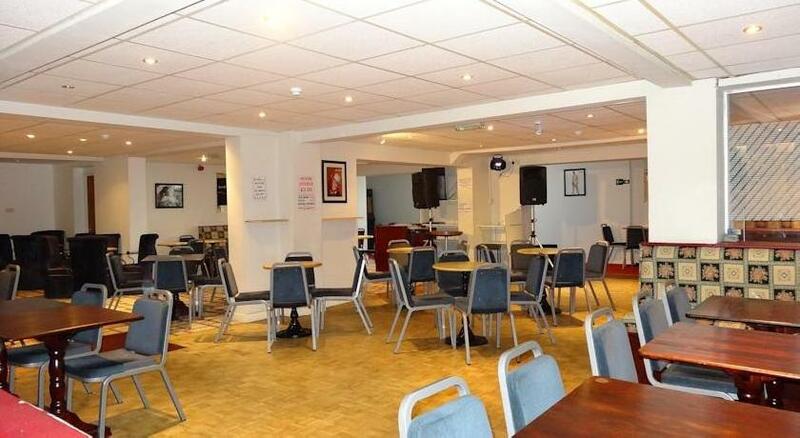 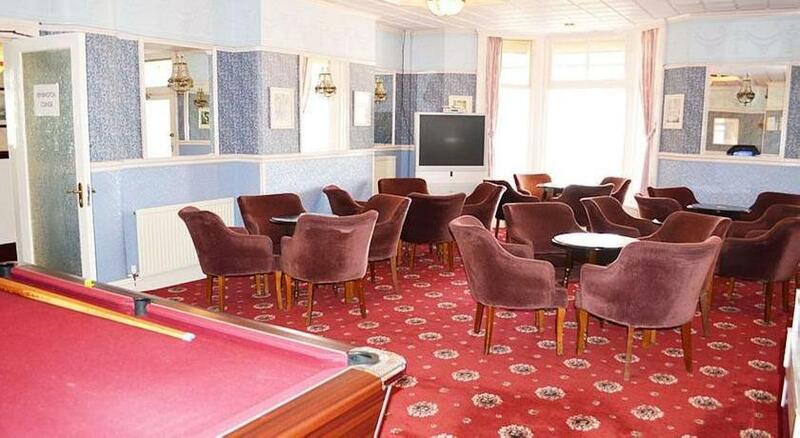 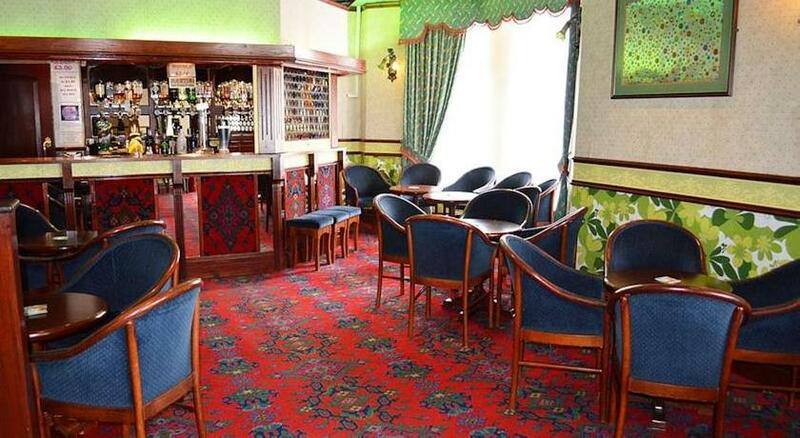 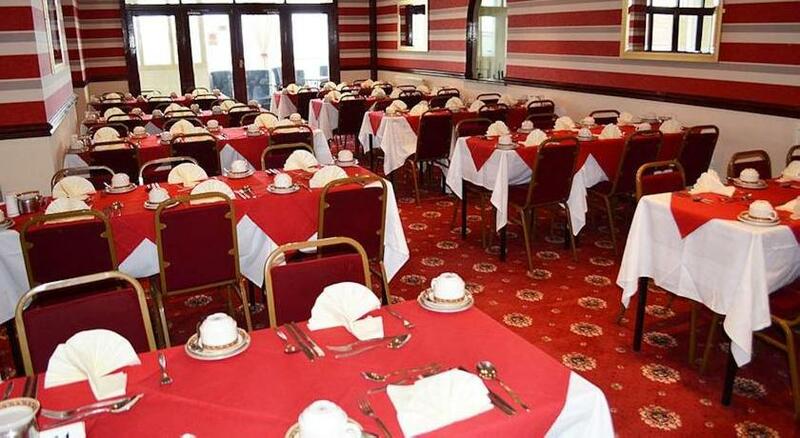 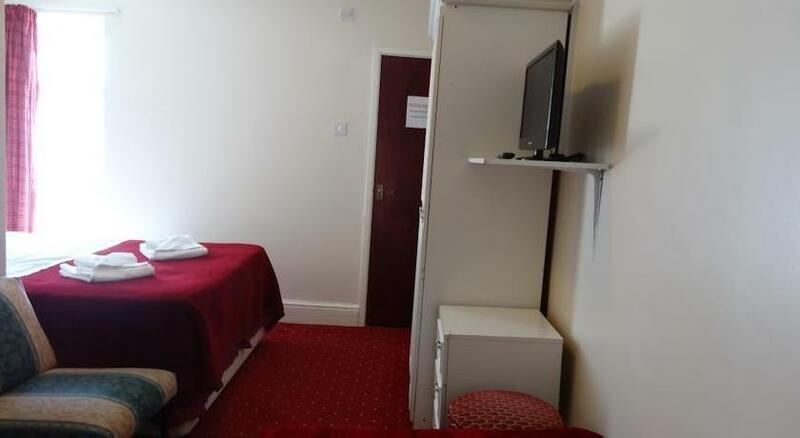 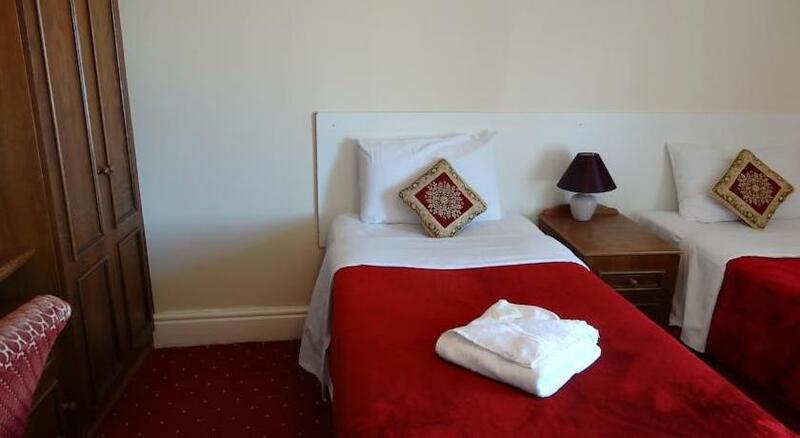 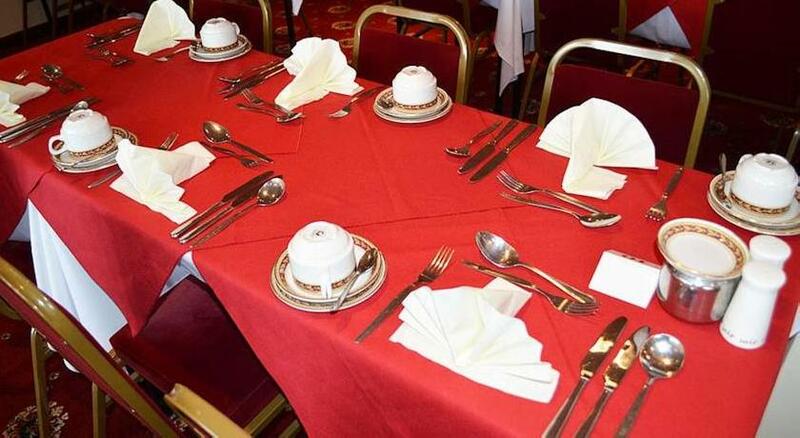 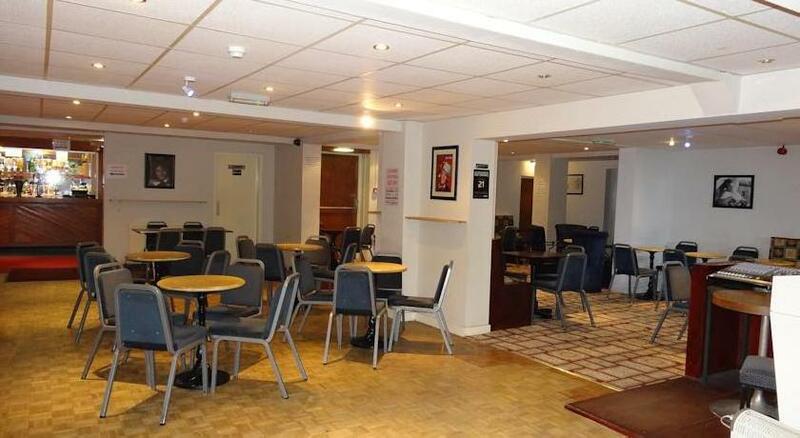 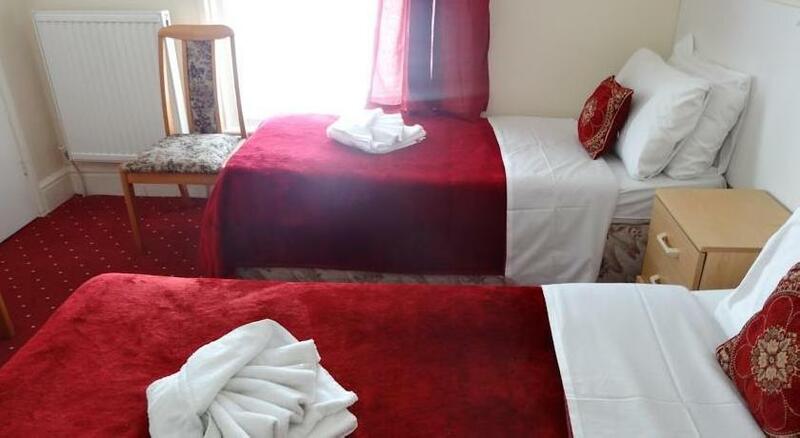 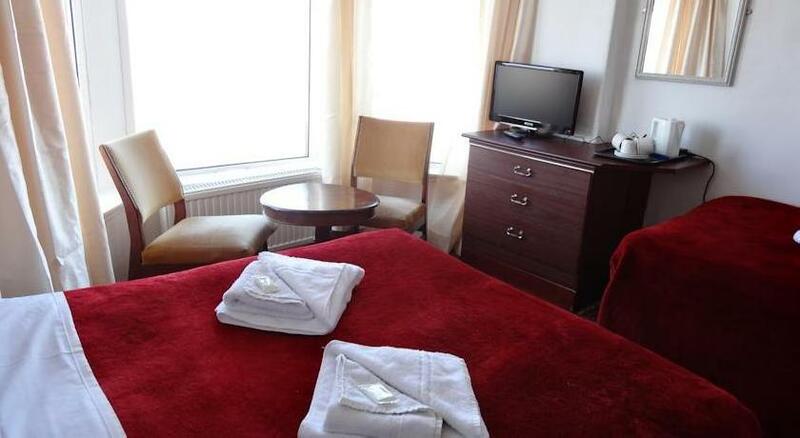 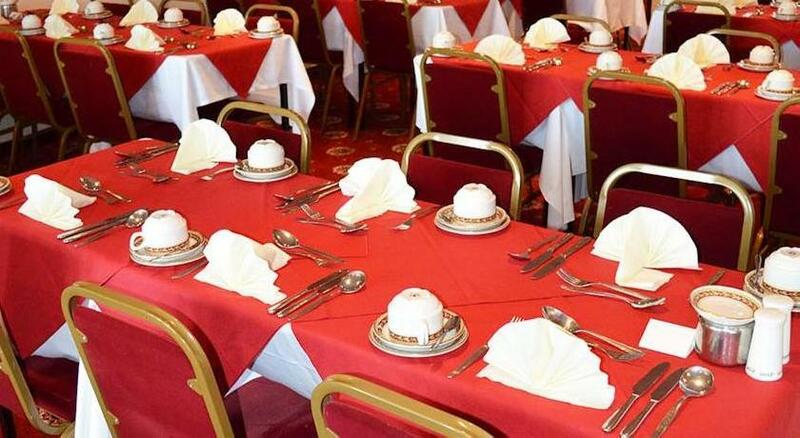 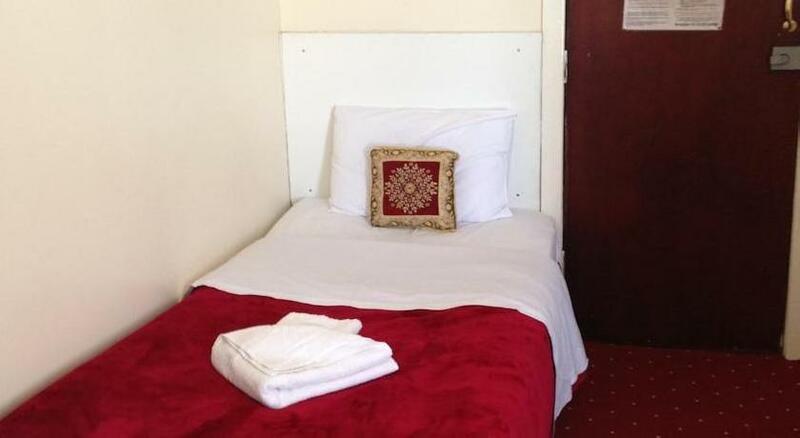 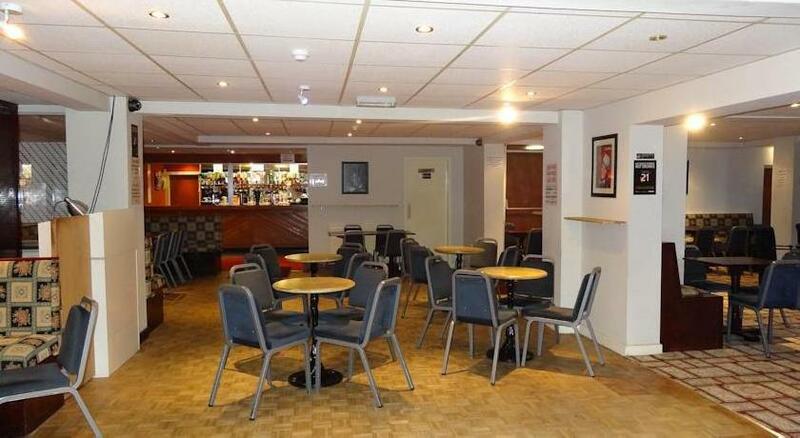 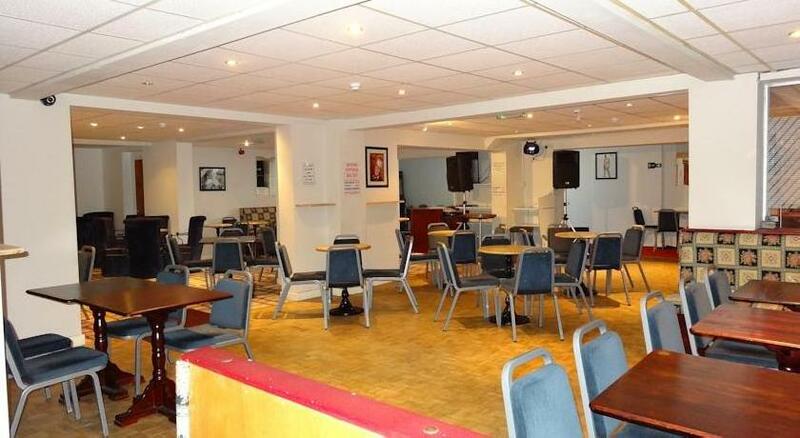 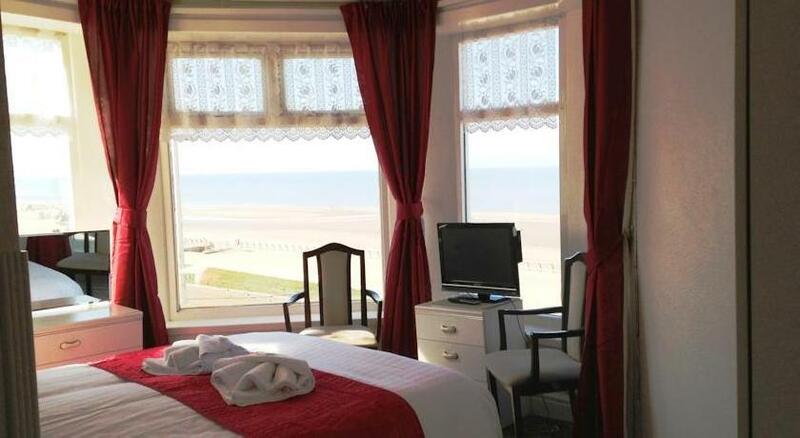 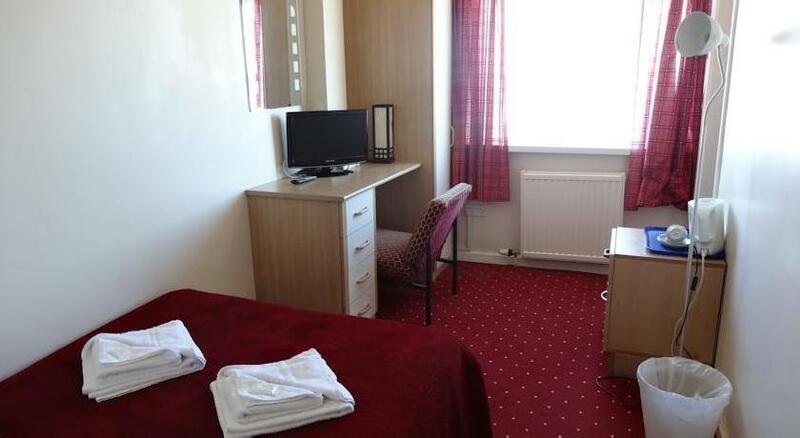 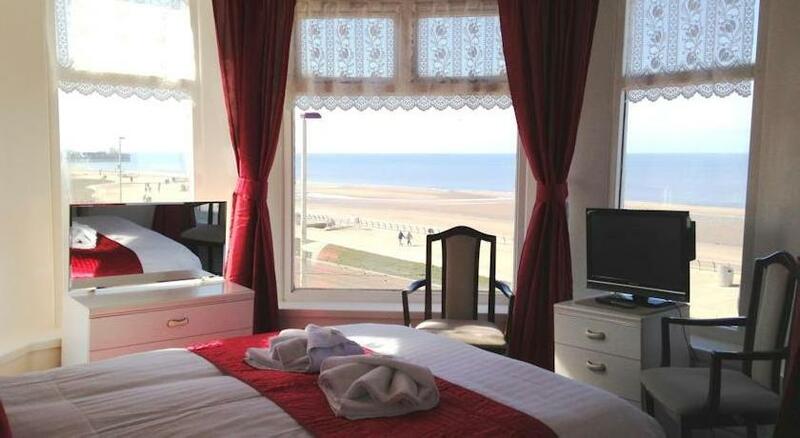 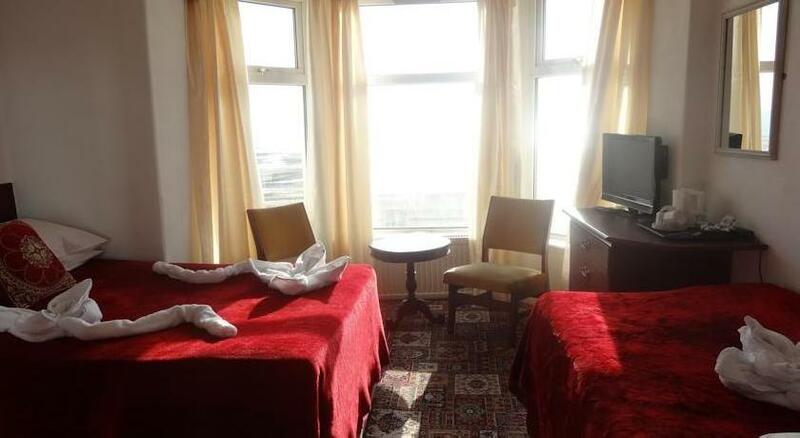 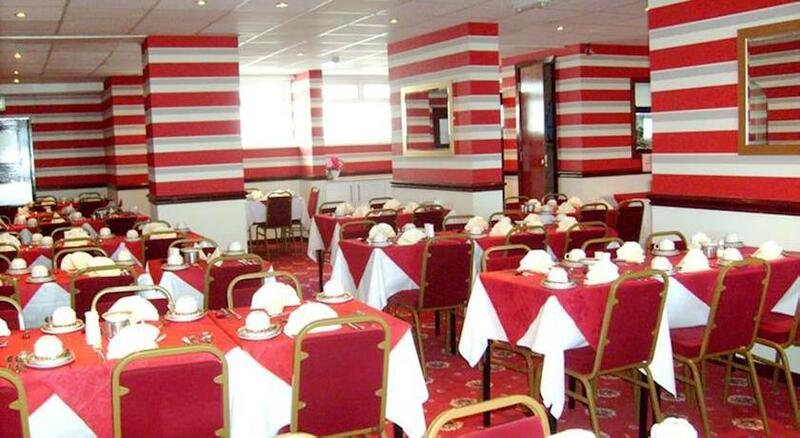 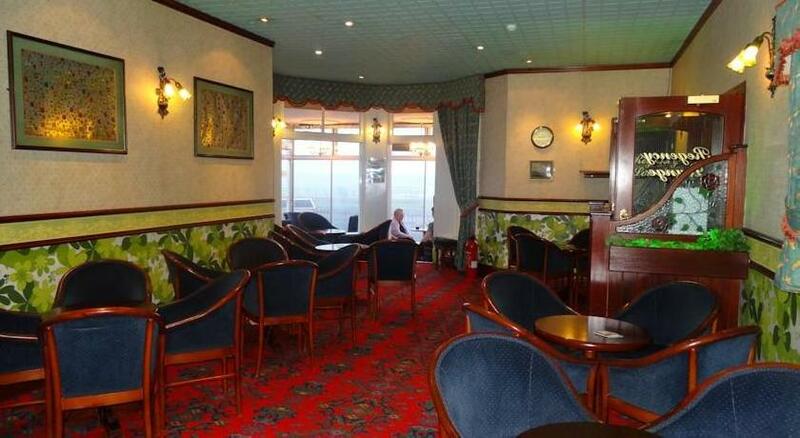 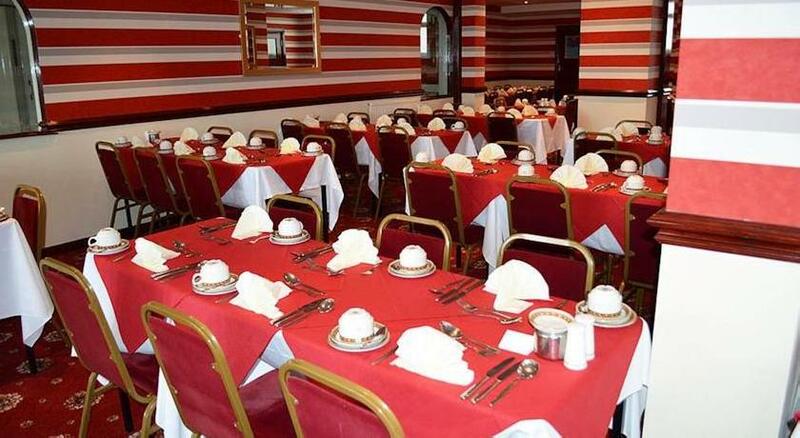 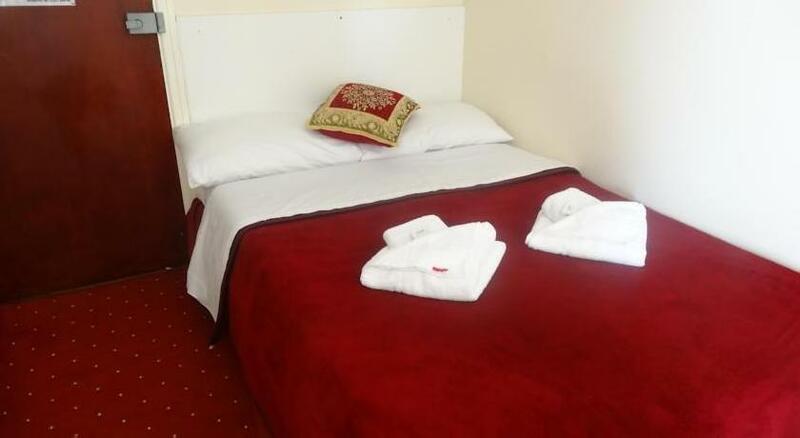 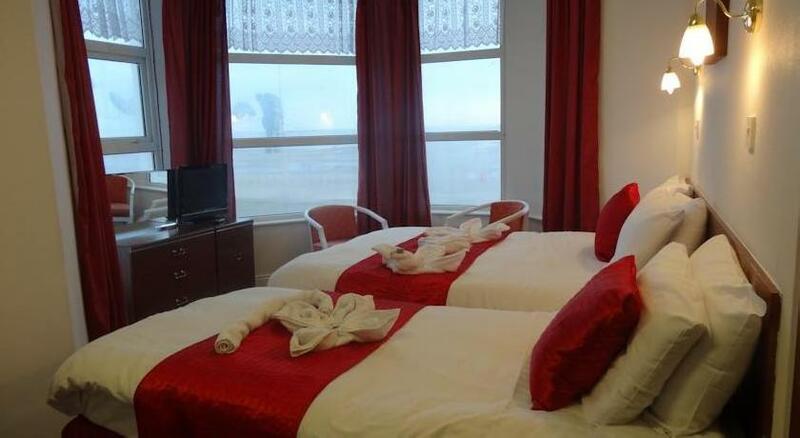 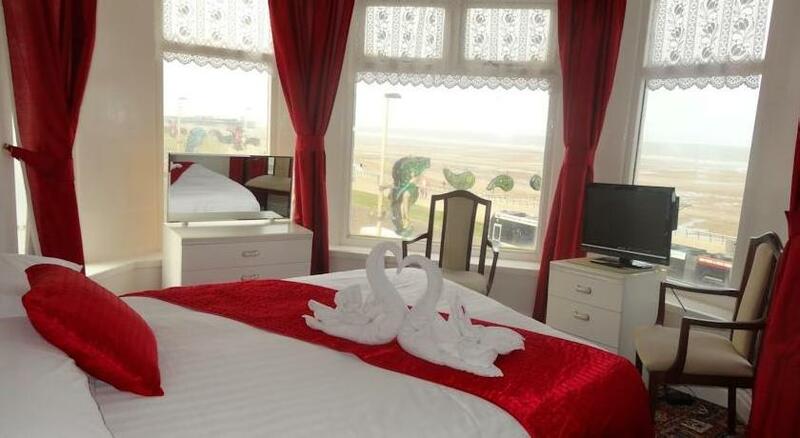 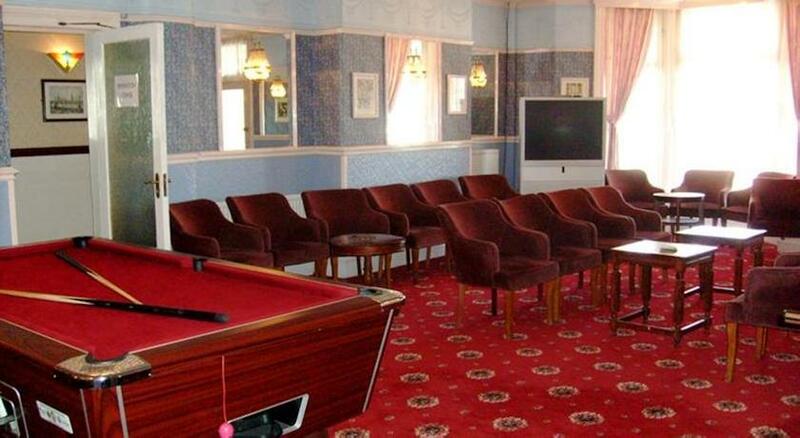 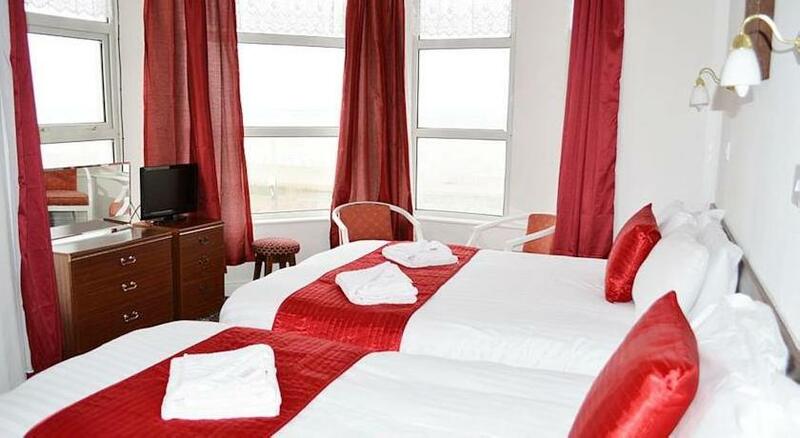 Blackpool Football Club is 300 metres away and Blackpool South Rail Station is a 10-minute walk from the hotel. 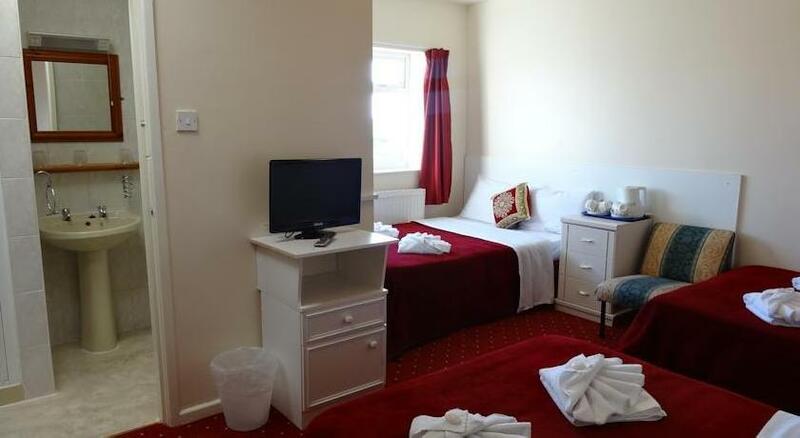 Tea and coffee facilities and a TV are provided in each room. 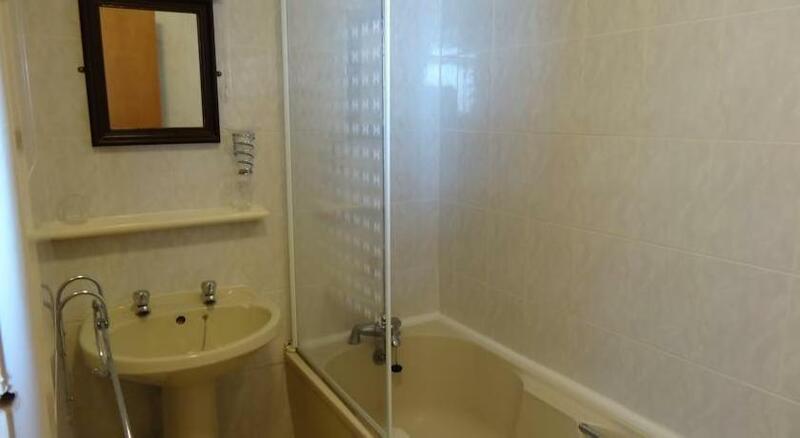 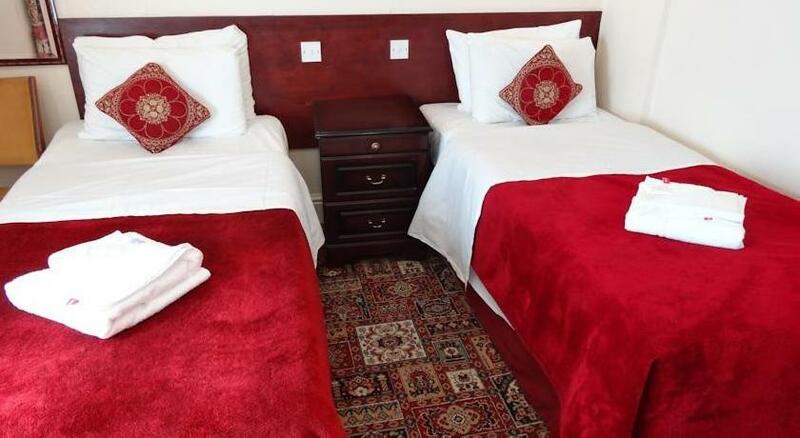 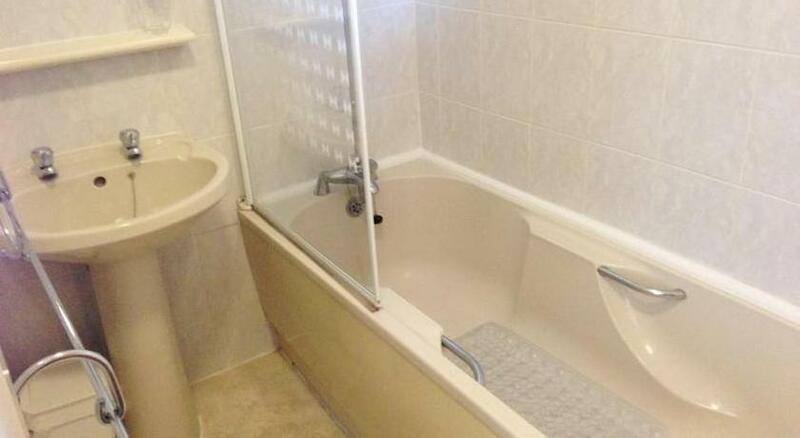 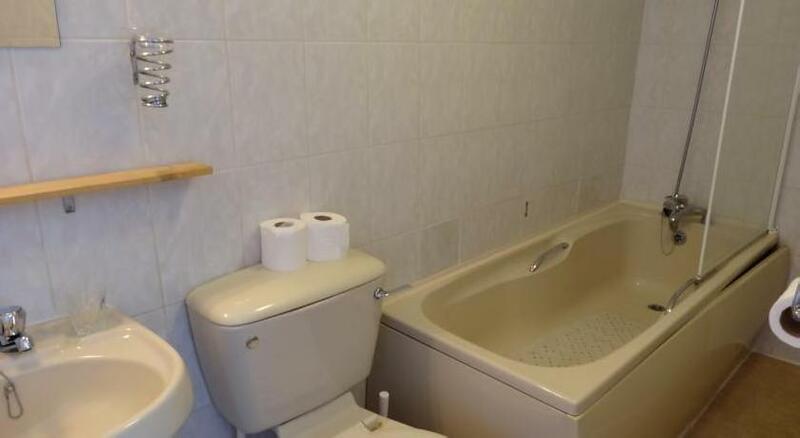 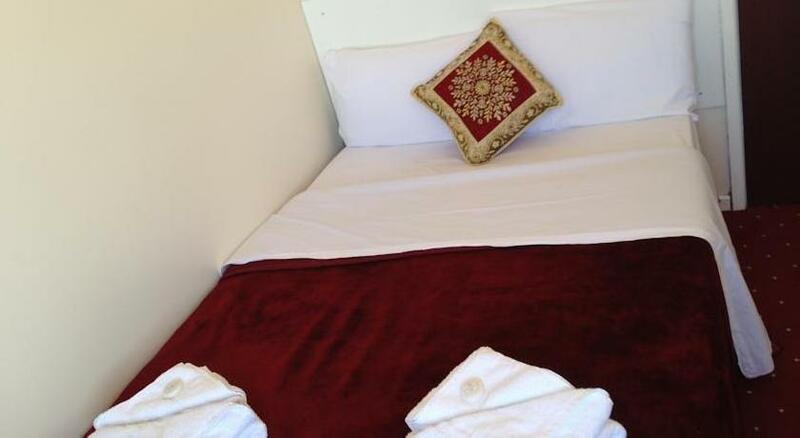 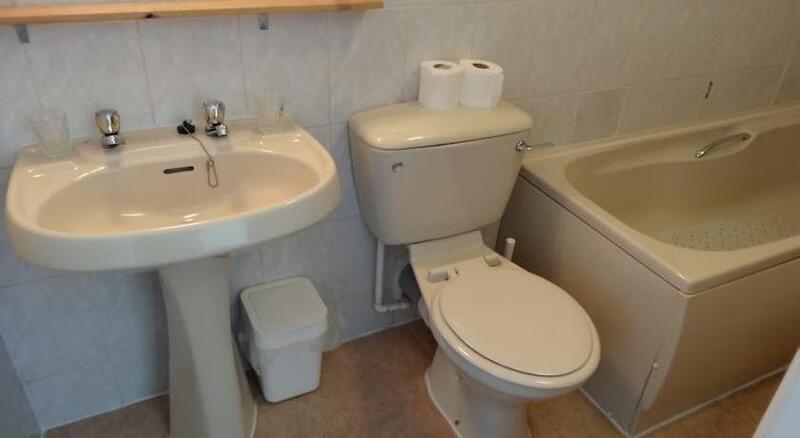 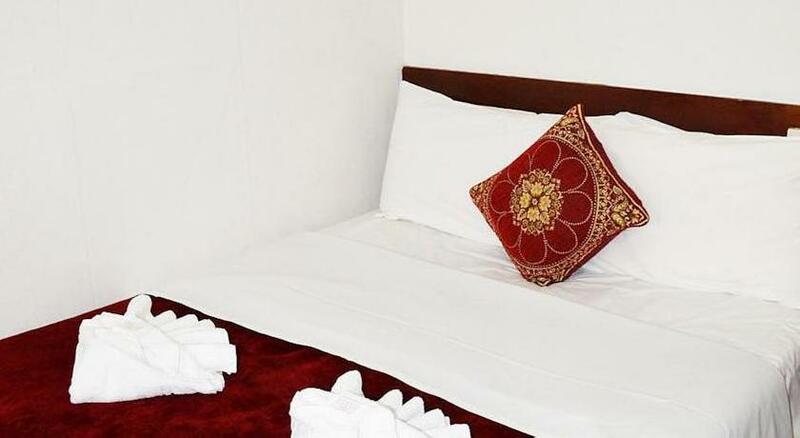 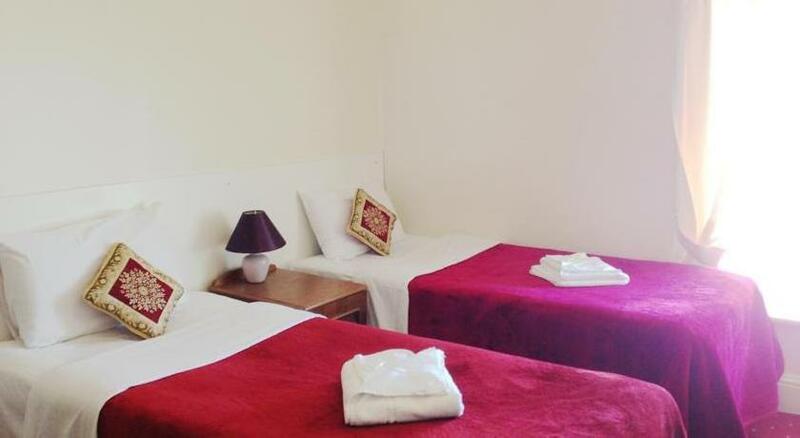 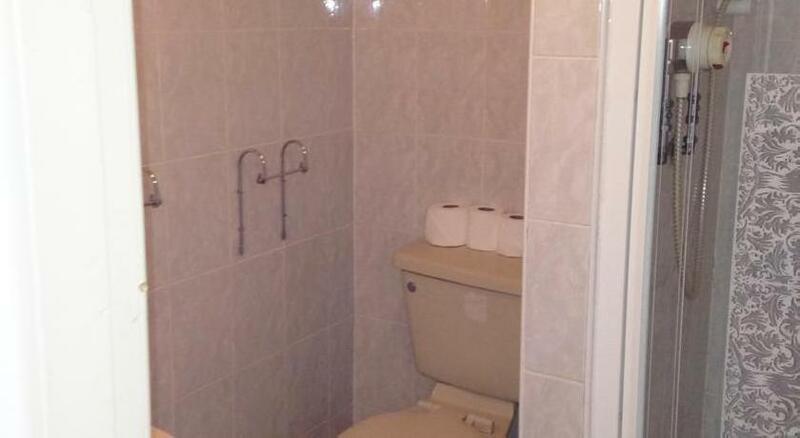 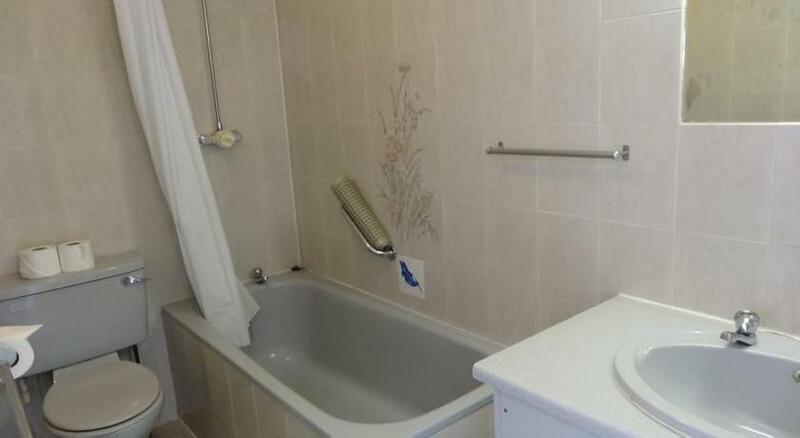 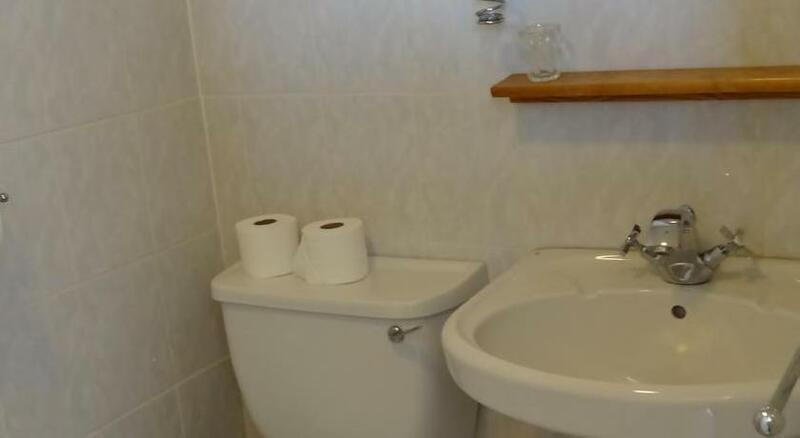 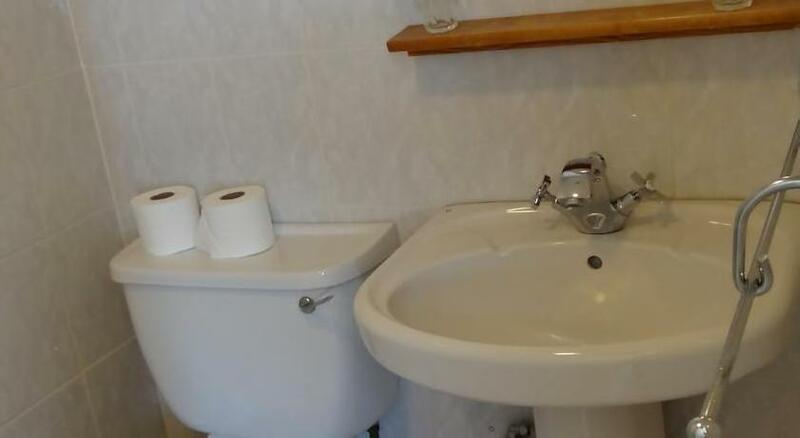 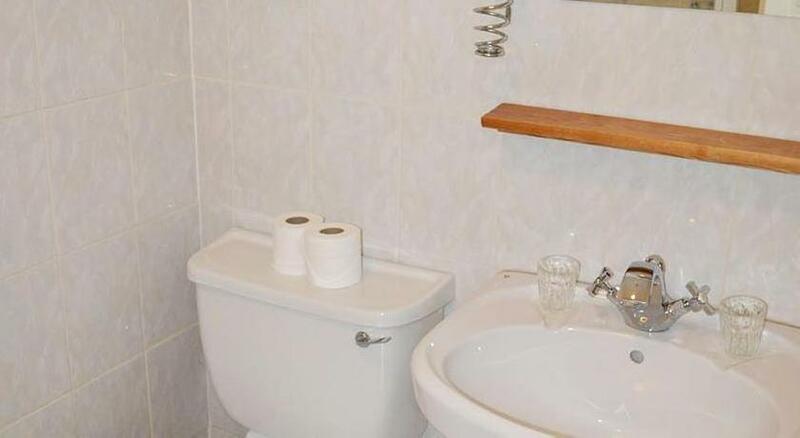 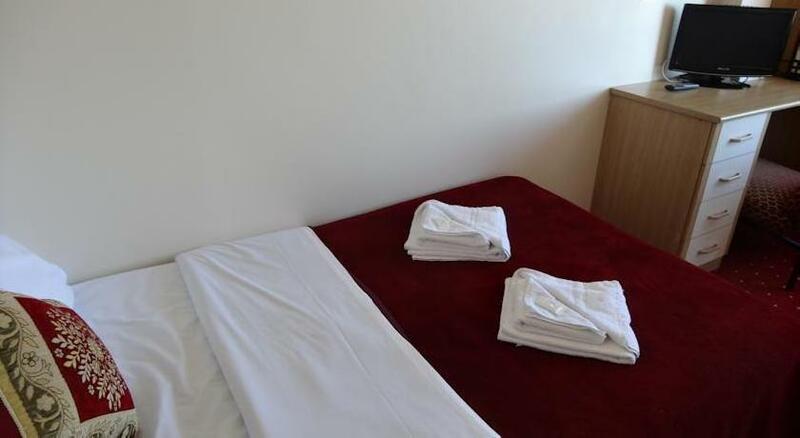 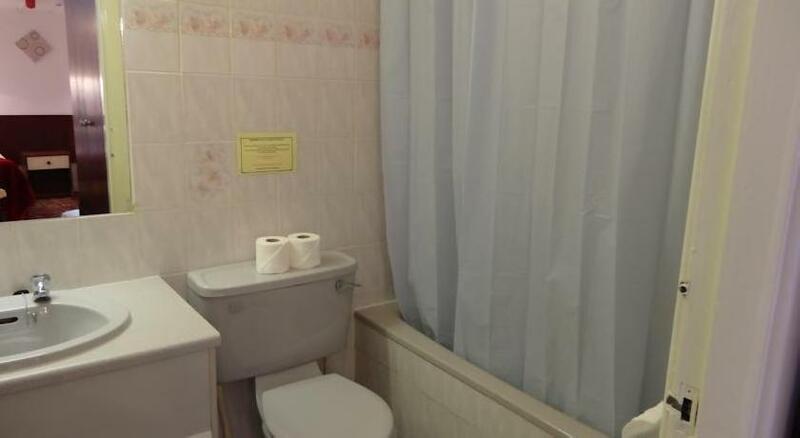 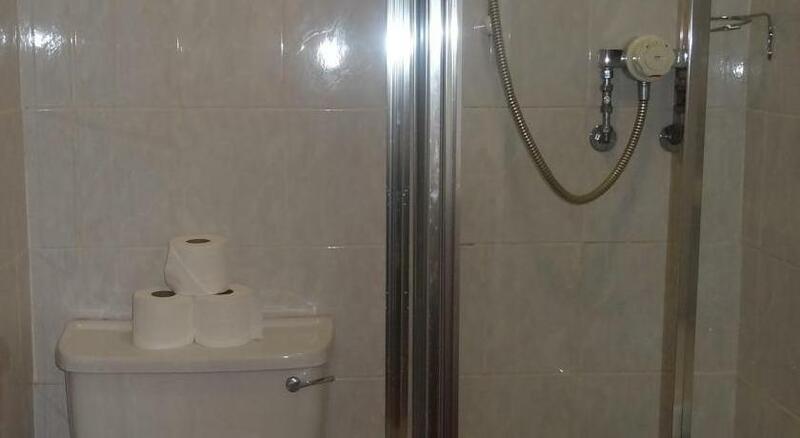 All rooms have a private bathroom with a bath or shower. 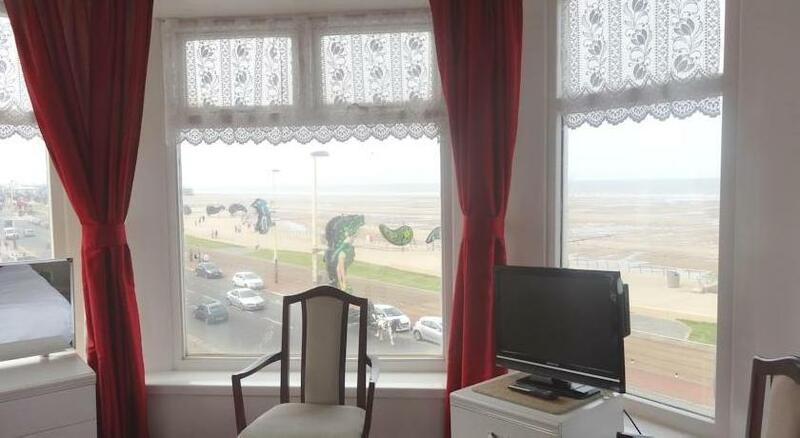 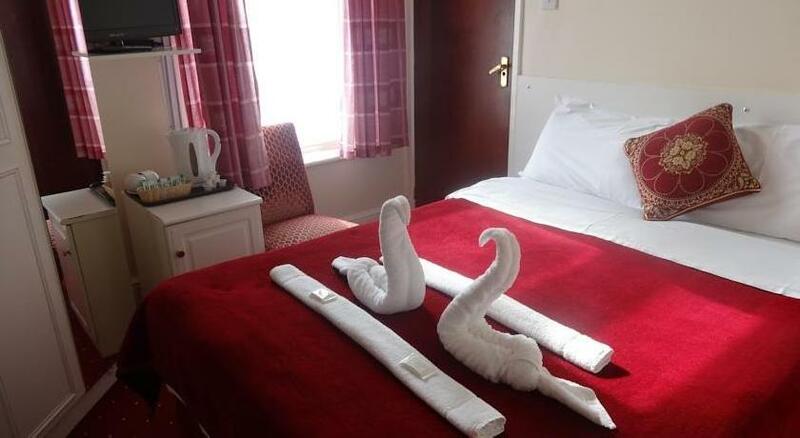 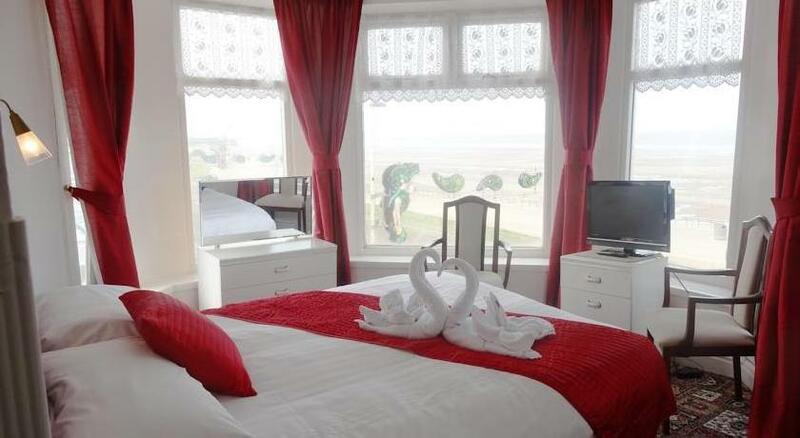 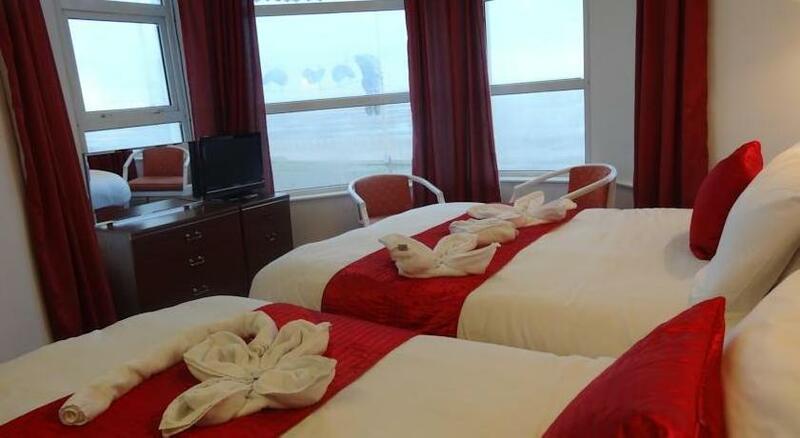 Some rooms feature views across the Irish Sea. 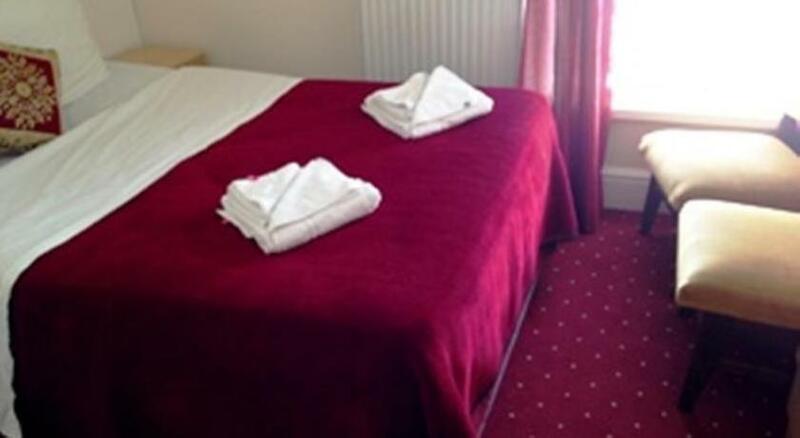 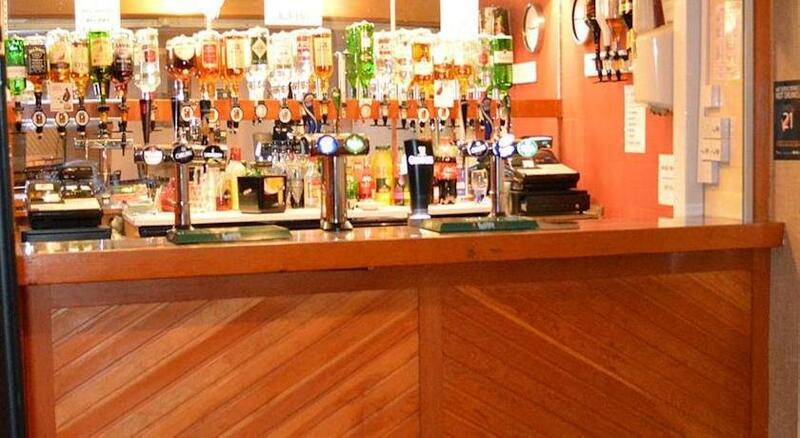 Main advantages: Staff were extremly helpful and polite/friendly at all times. 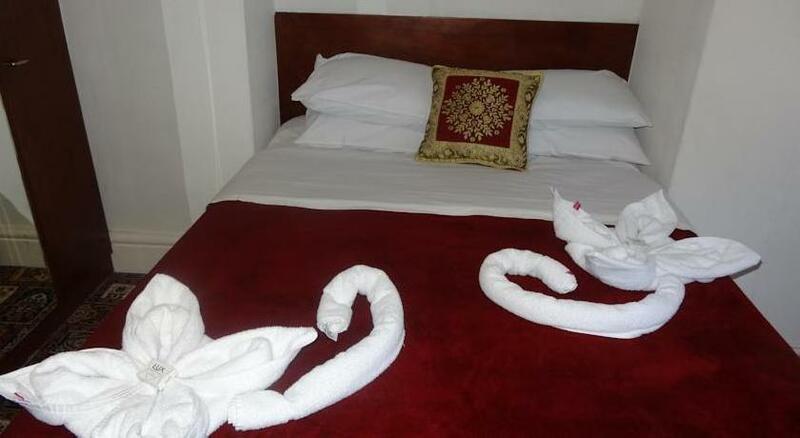 We were made to feel welcome immeadiately on arrival and throughout our stay. 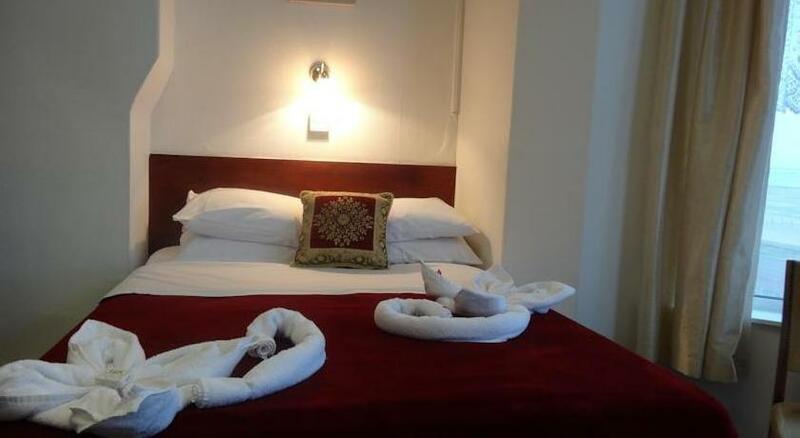 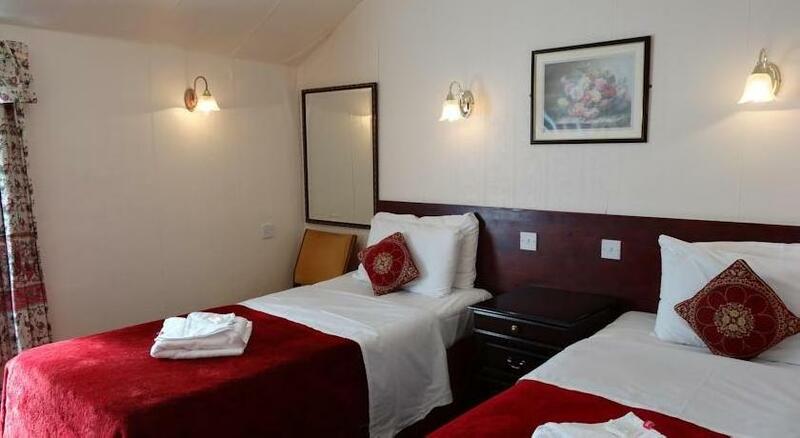 Main advantages: The hotel was very warm and friendly. 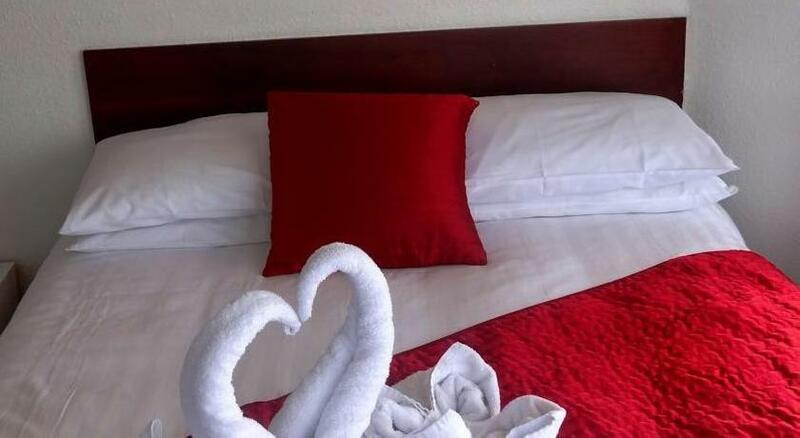 Felt like home at the first look. 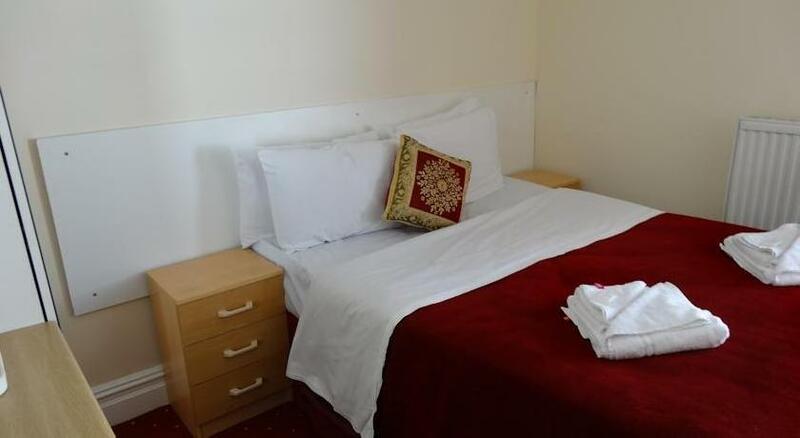 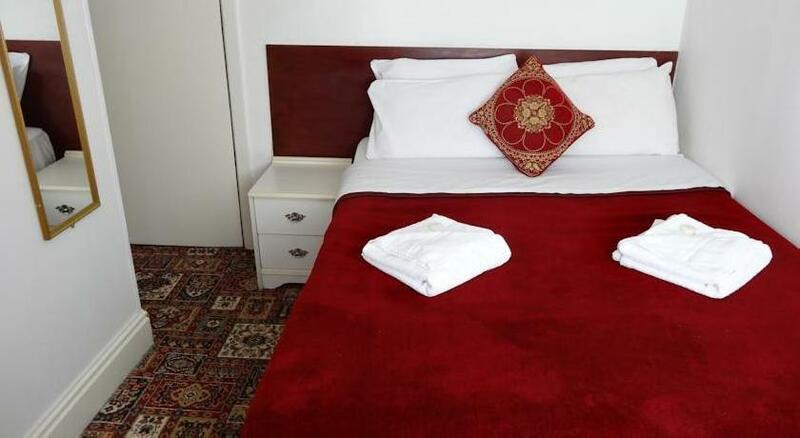 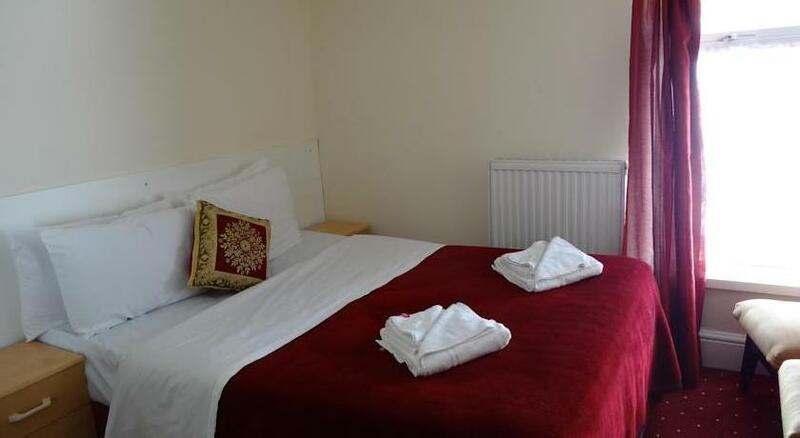 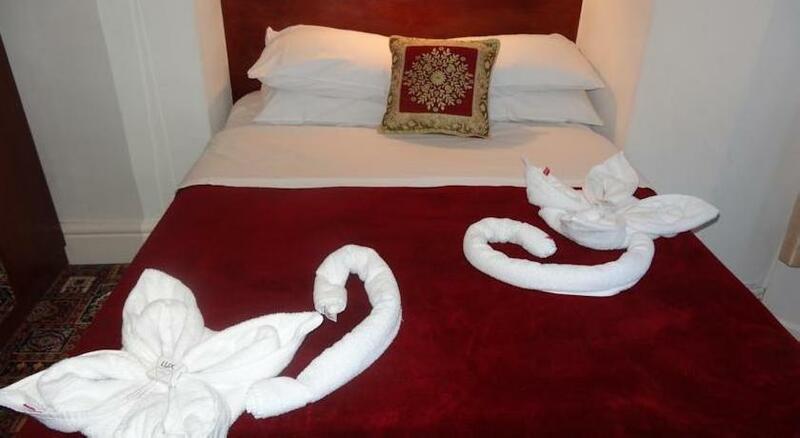 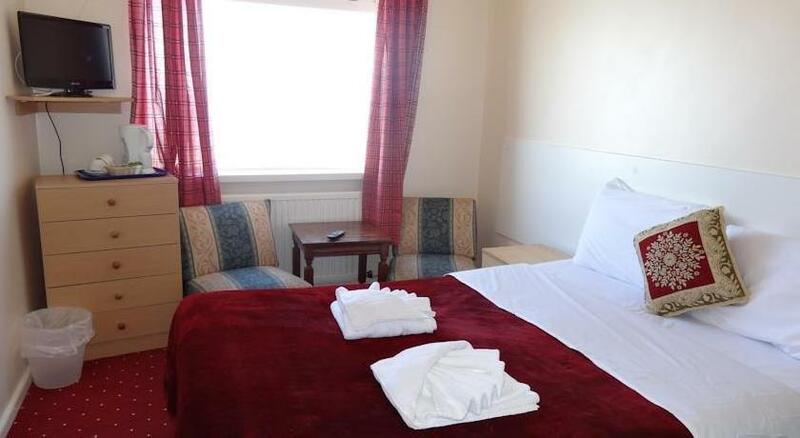 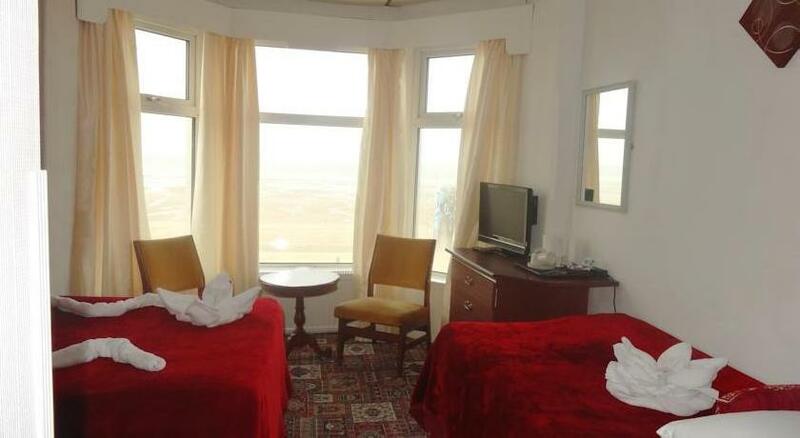 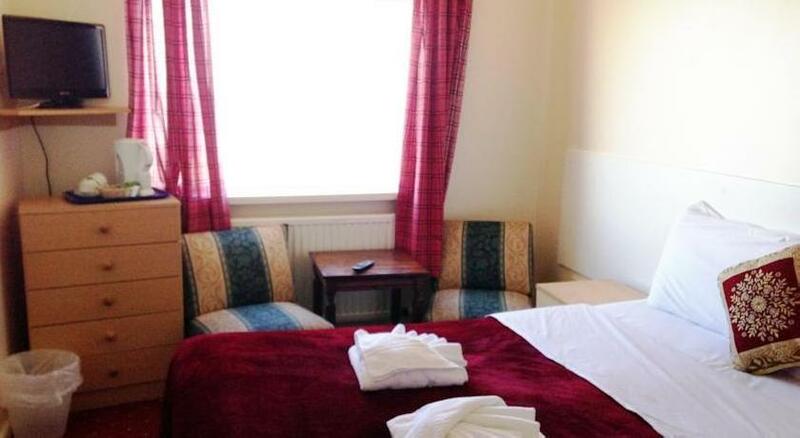 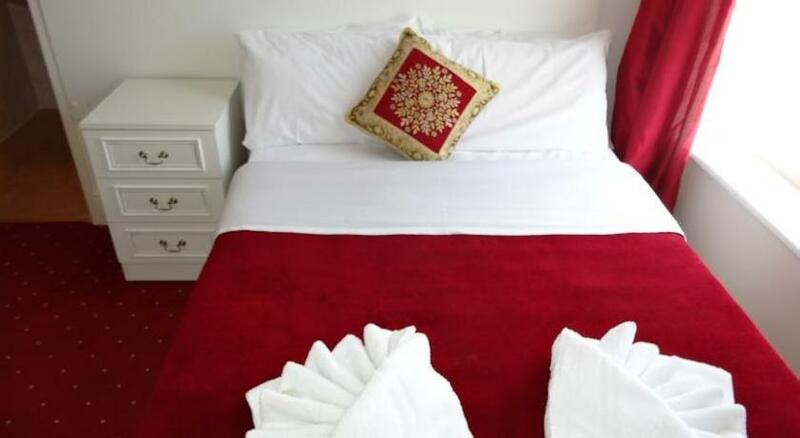 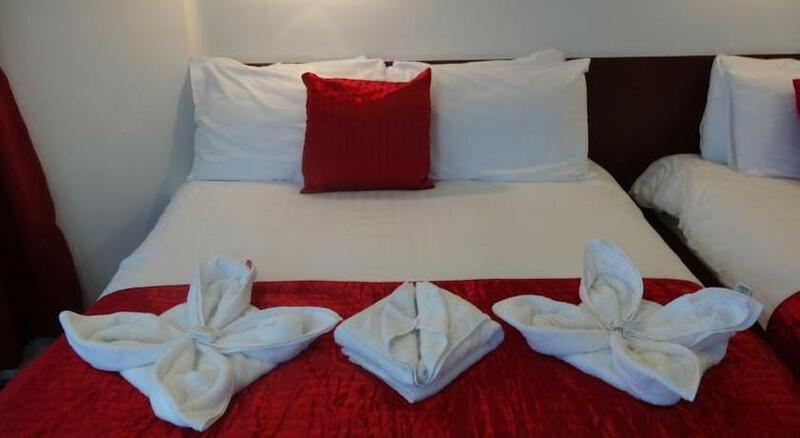 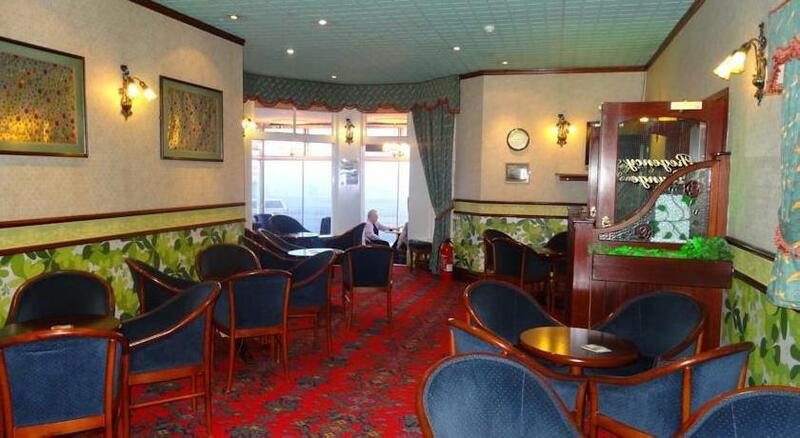 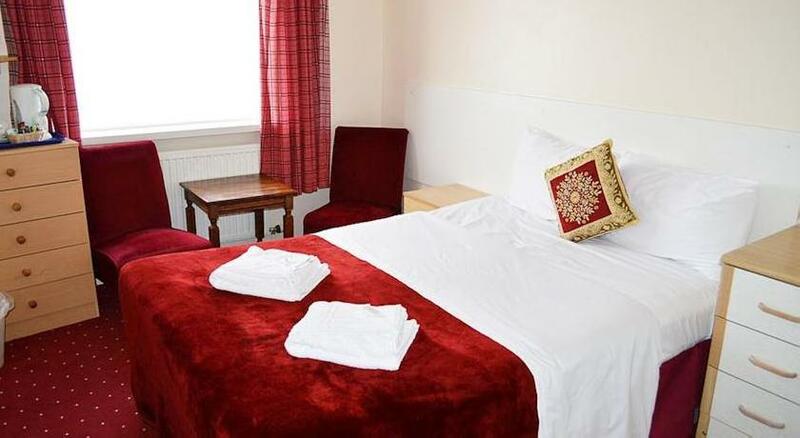 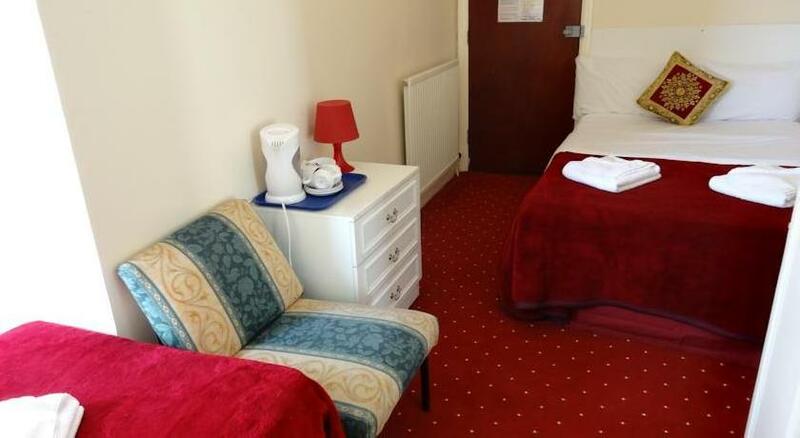 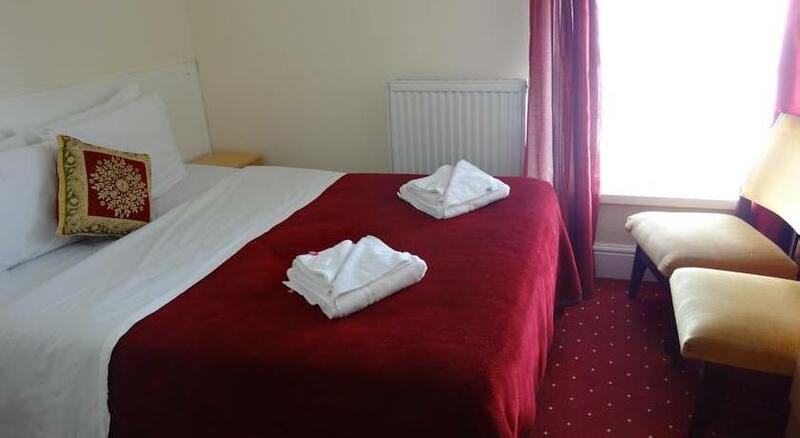 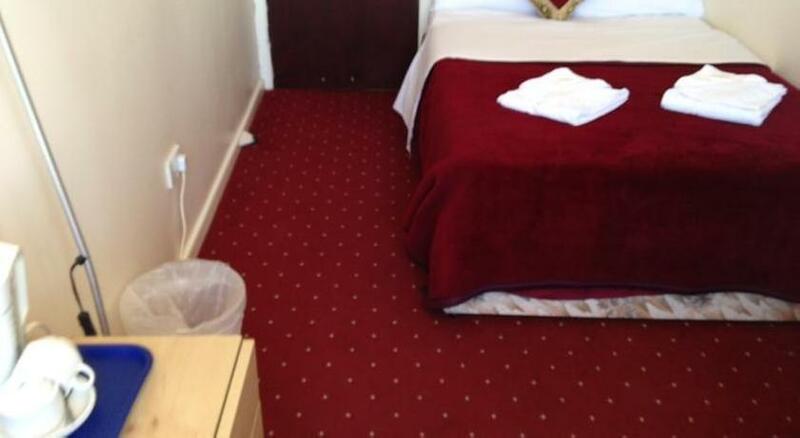 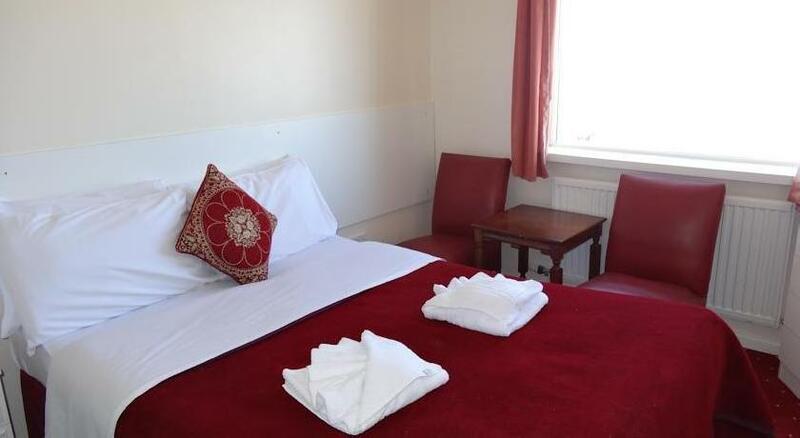 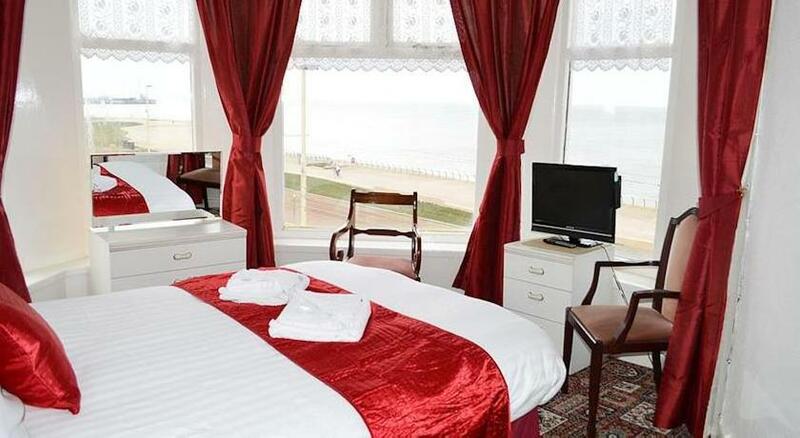 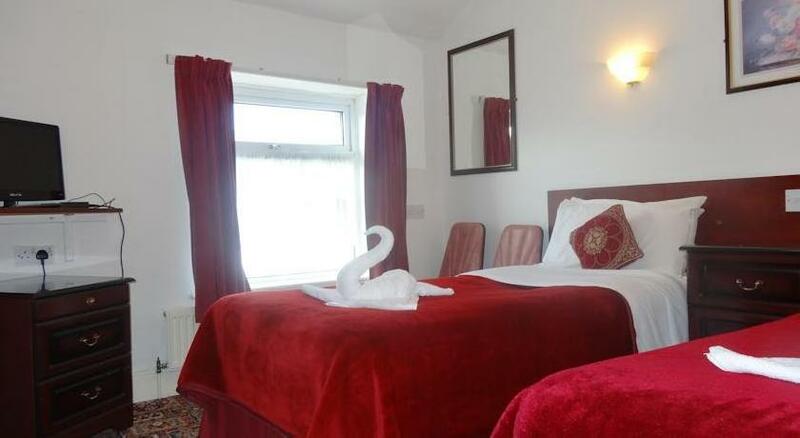 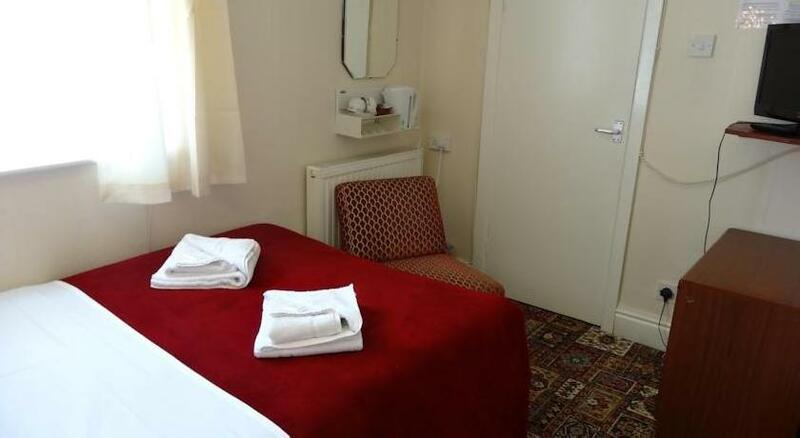 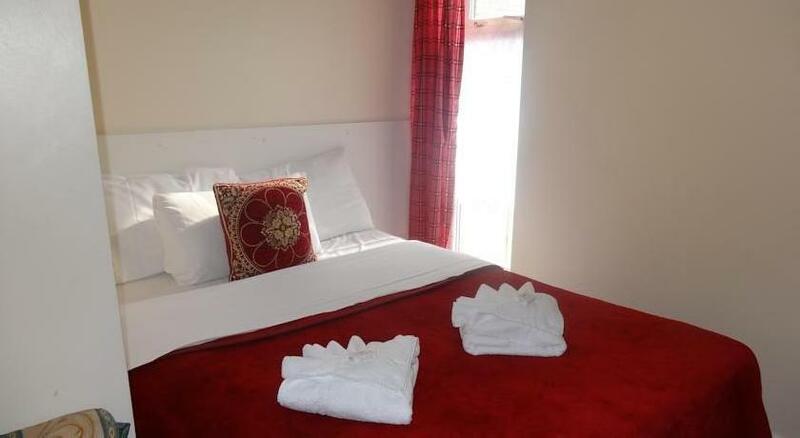 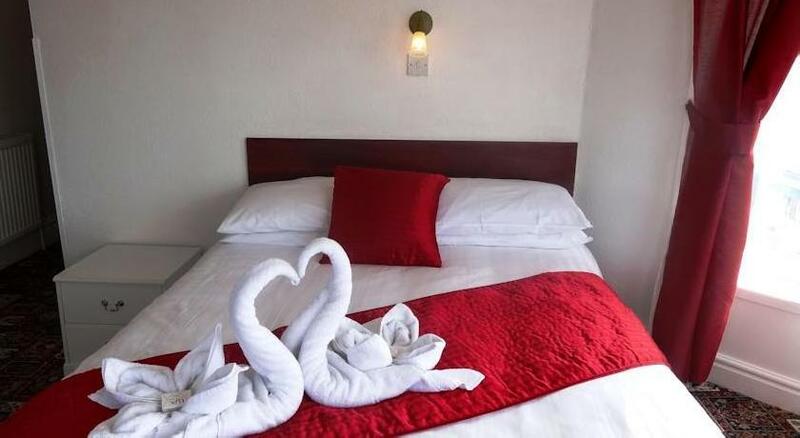 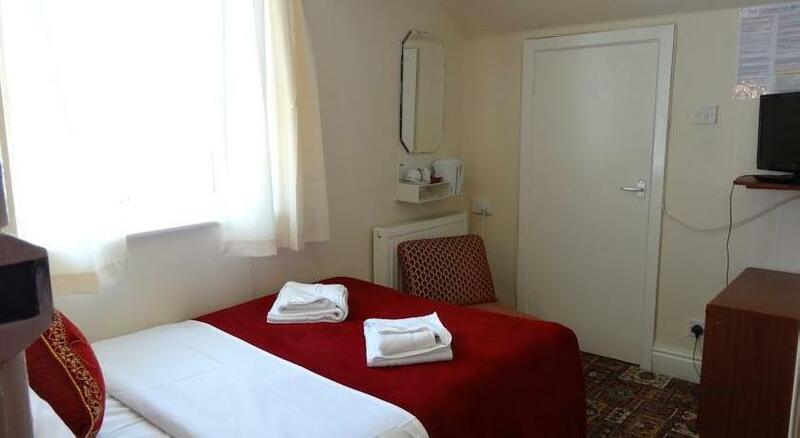 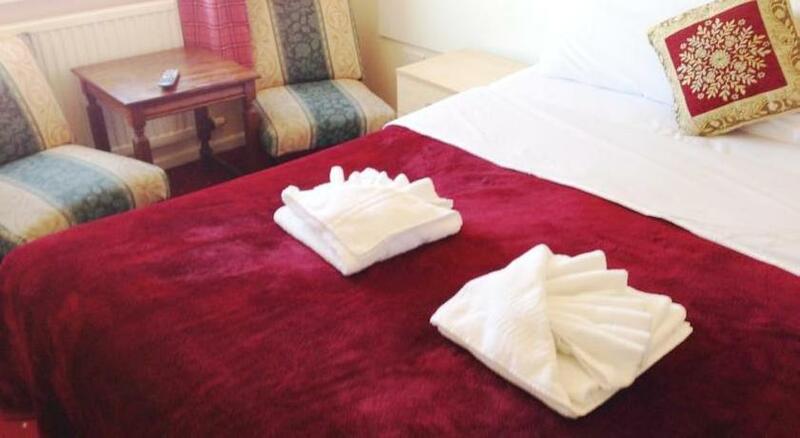 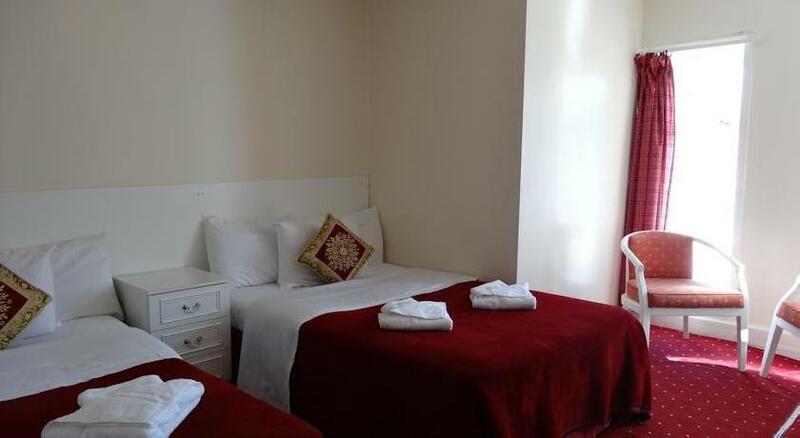 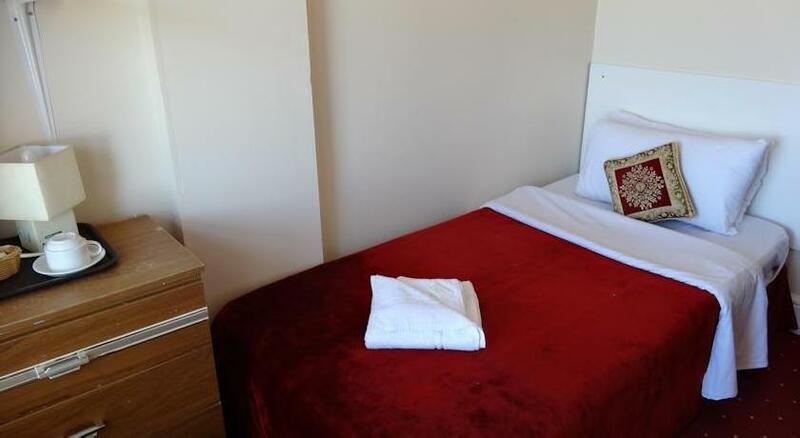 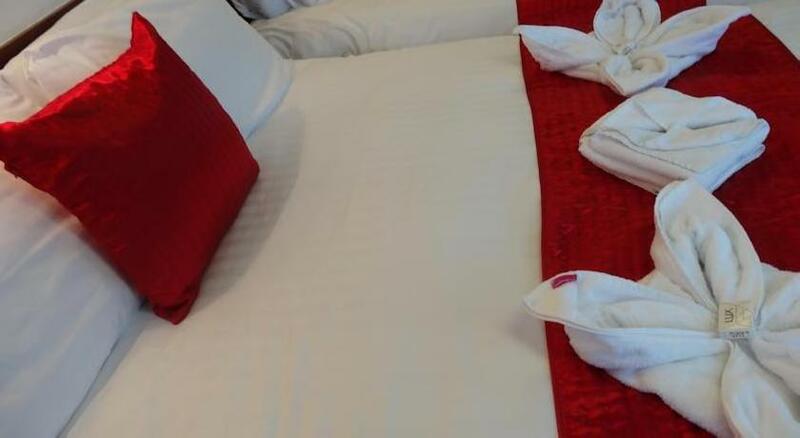 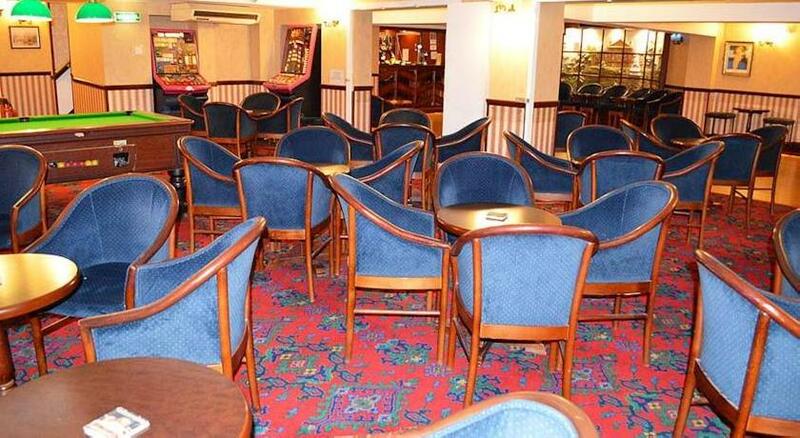 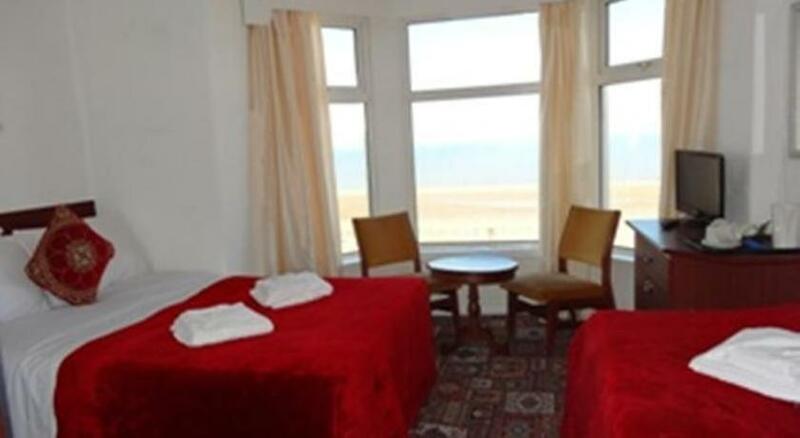 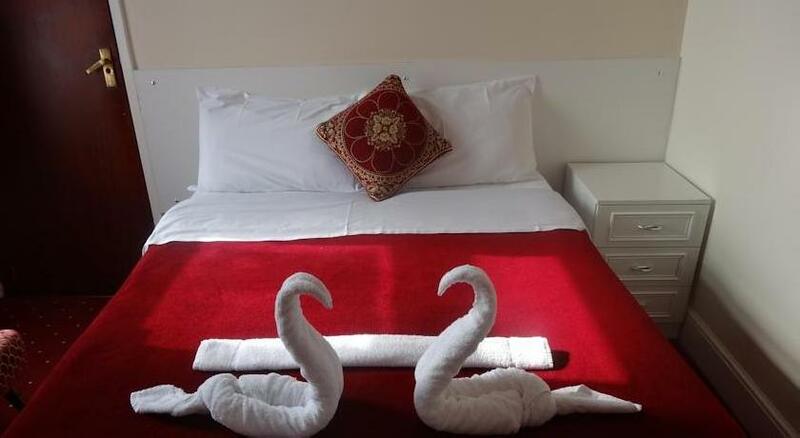 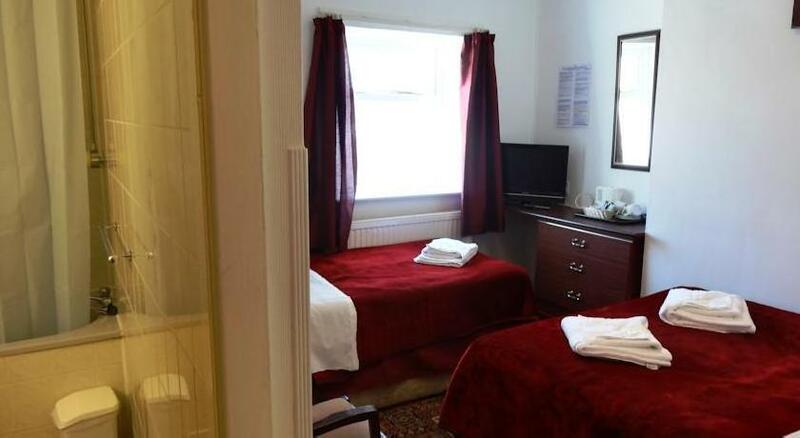 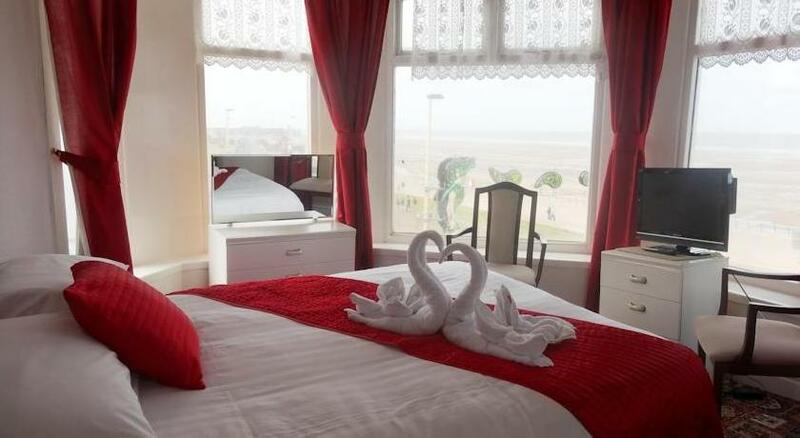 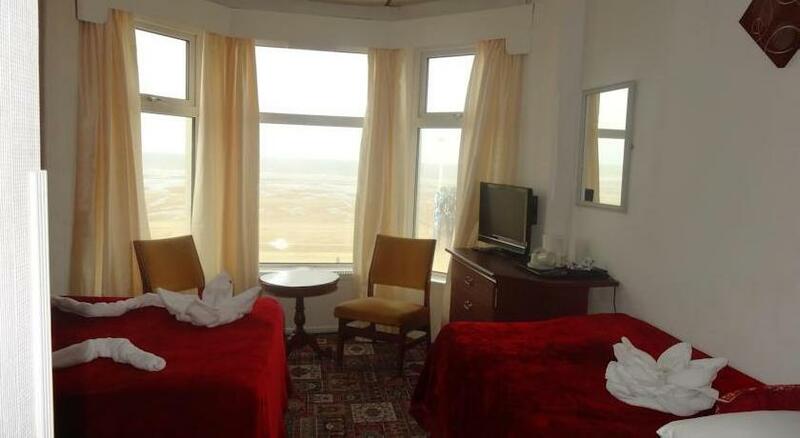 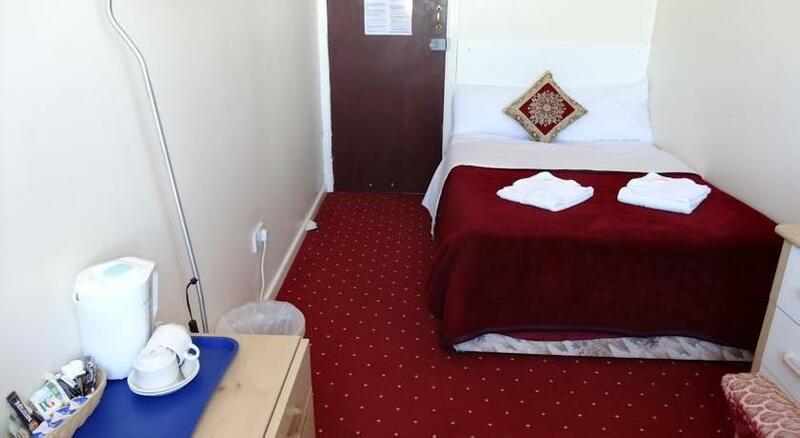 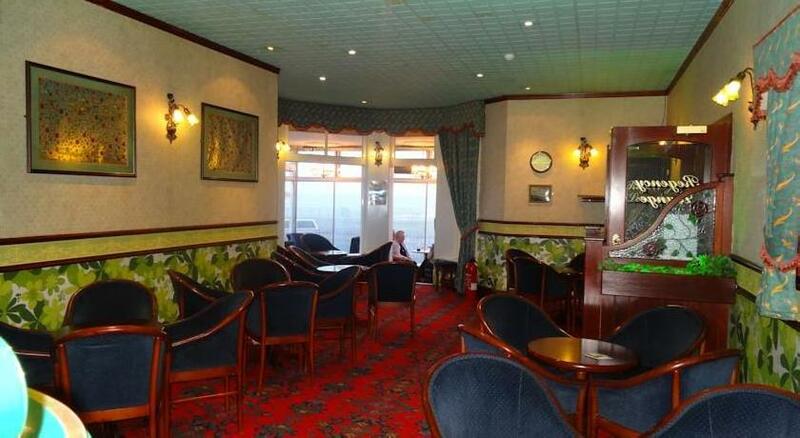 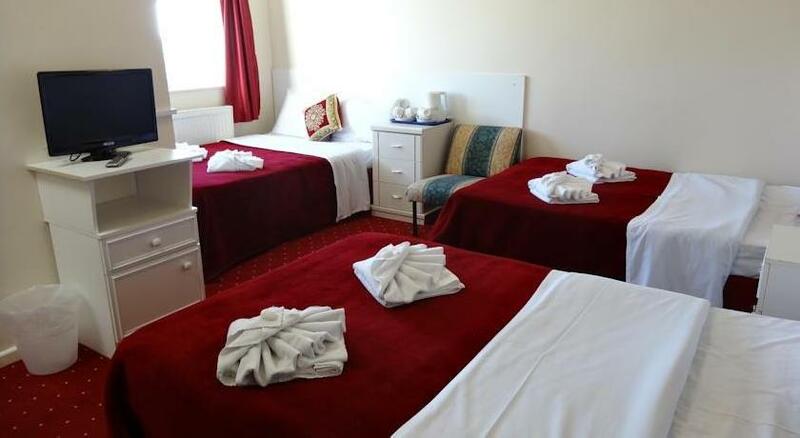 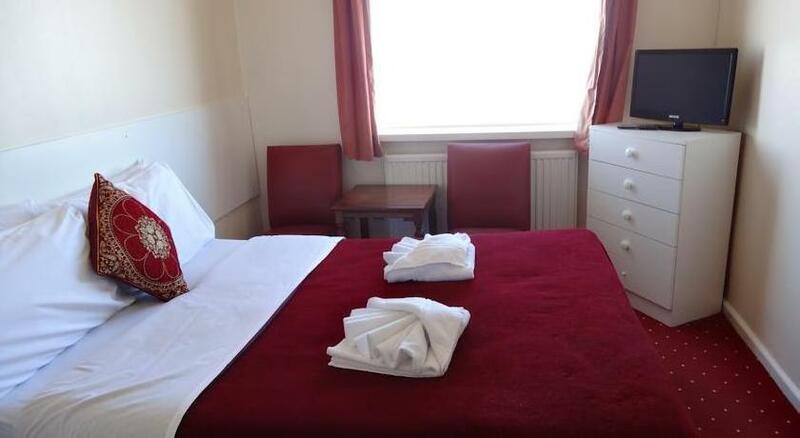 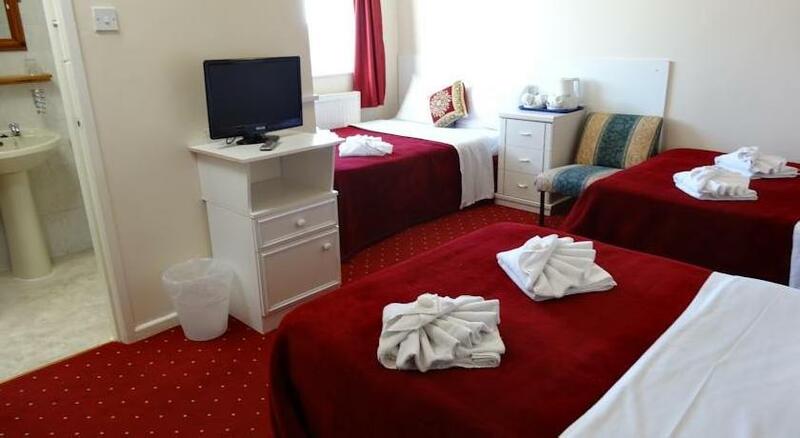 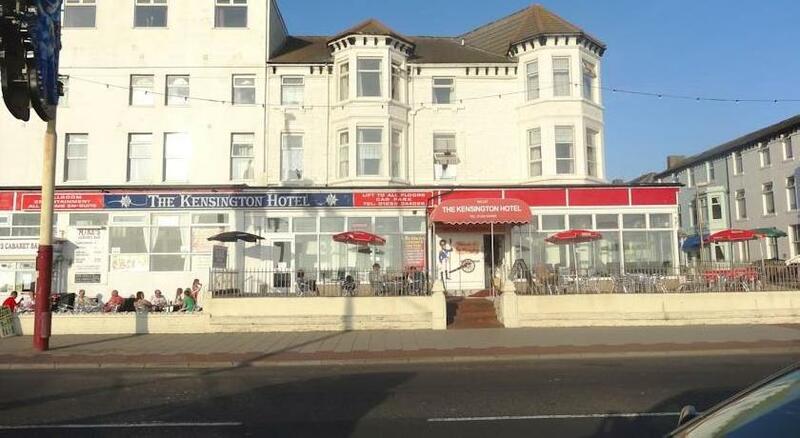 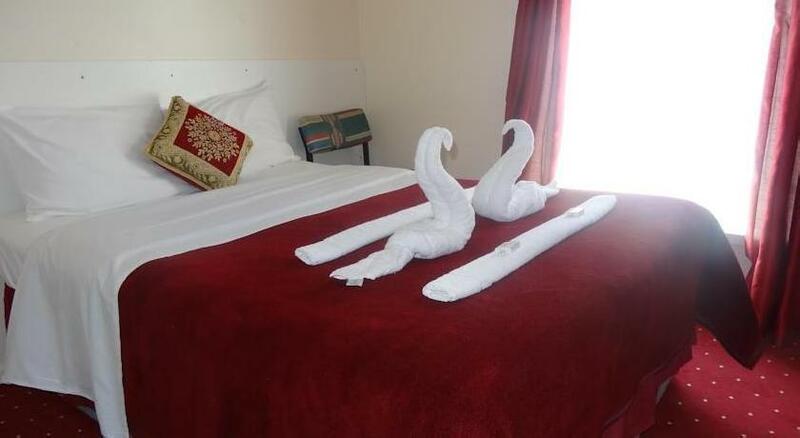 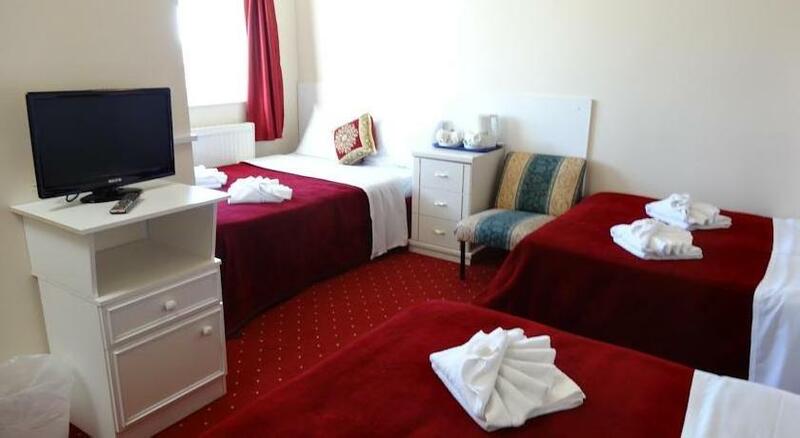 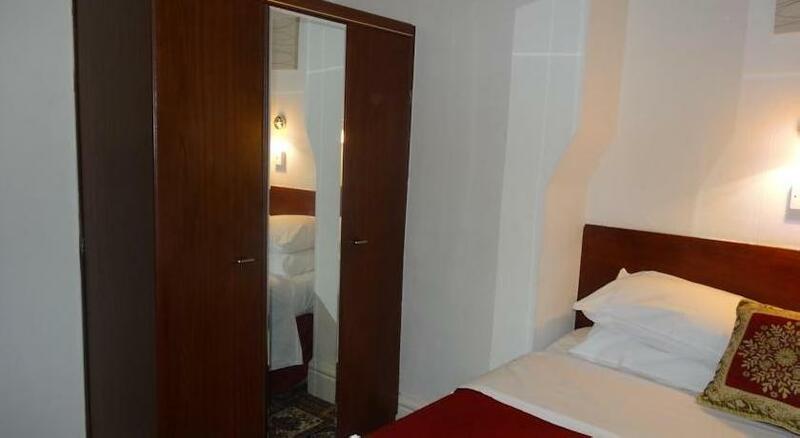 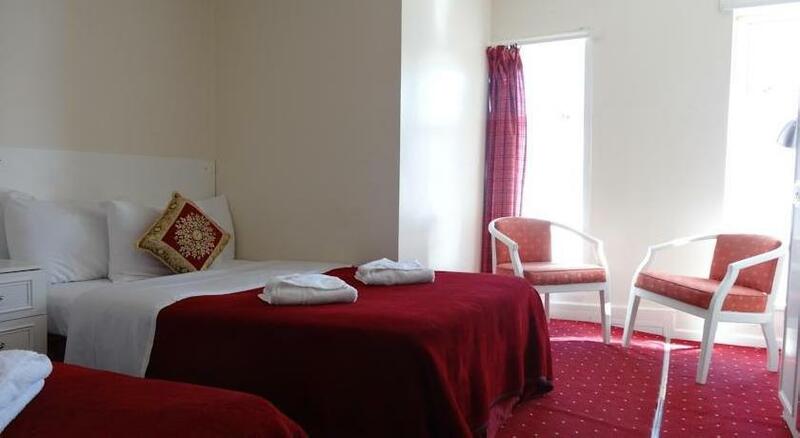 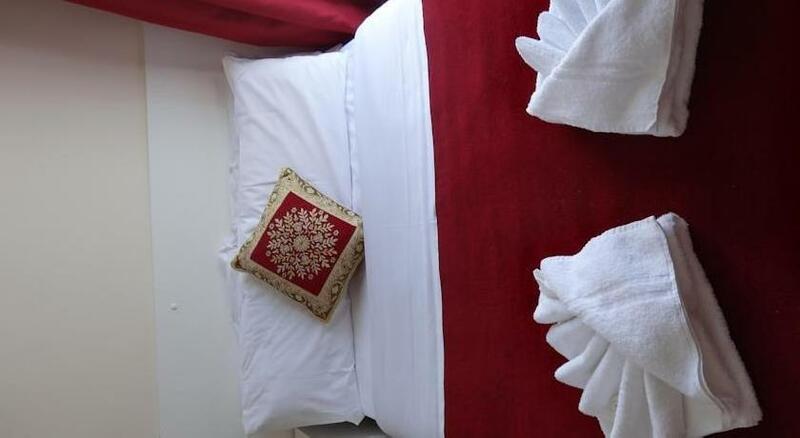 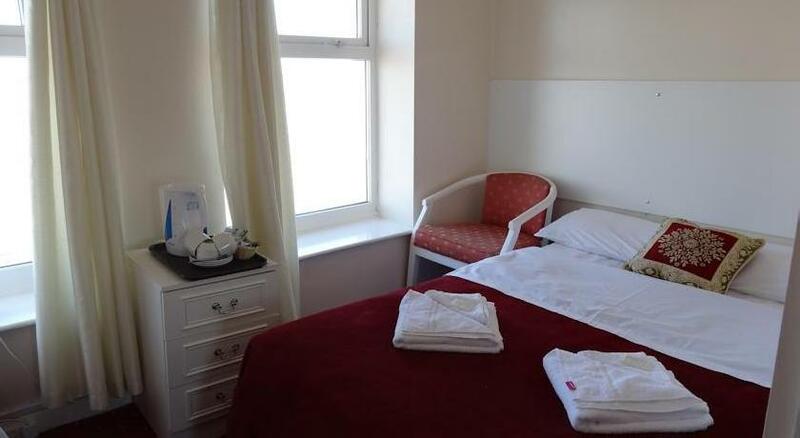 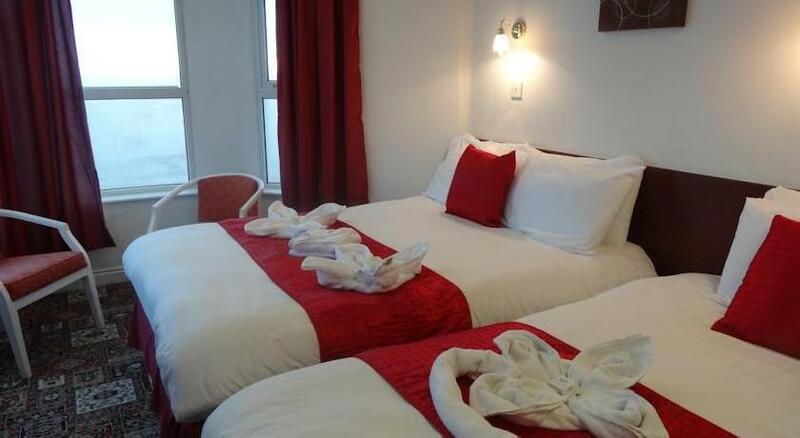 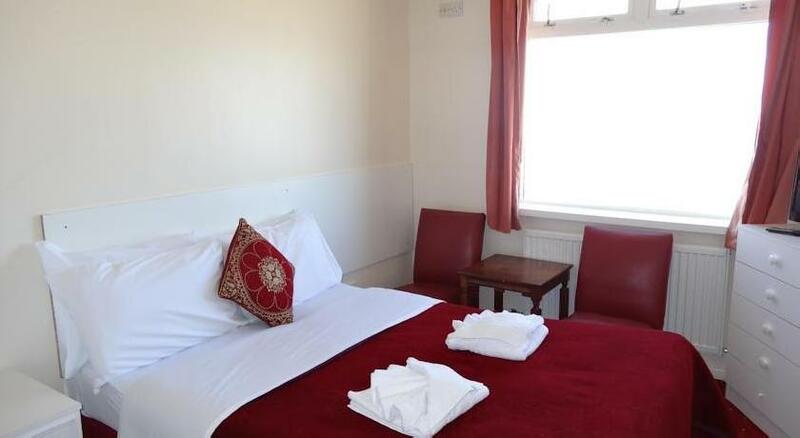 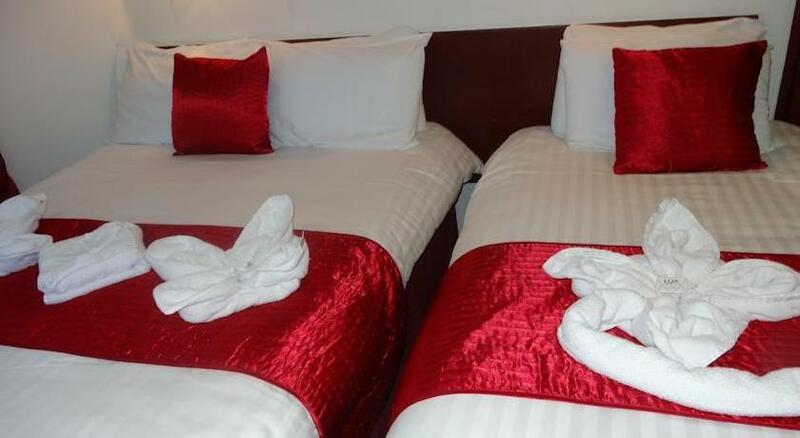 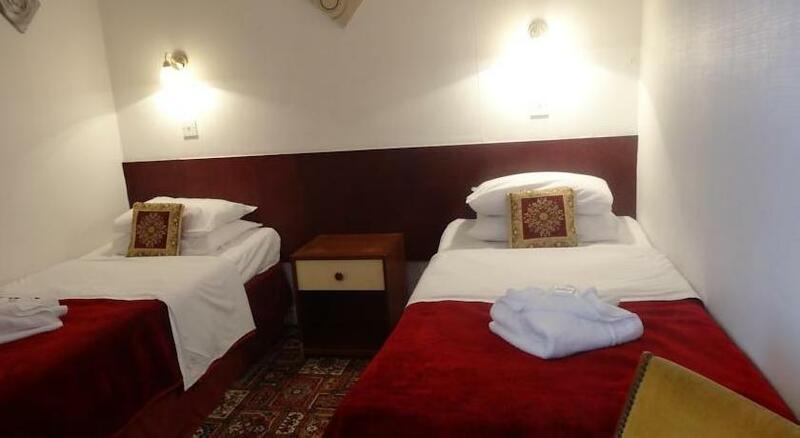 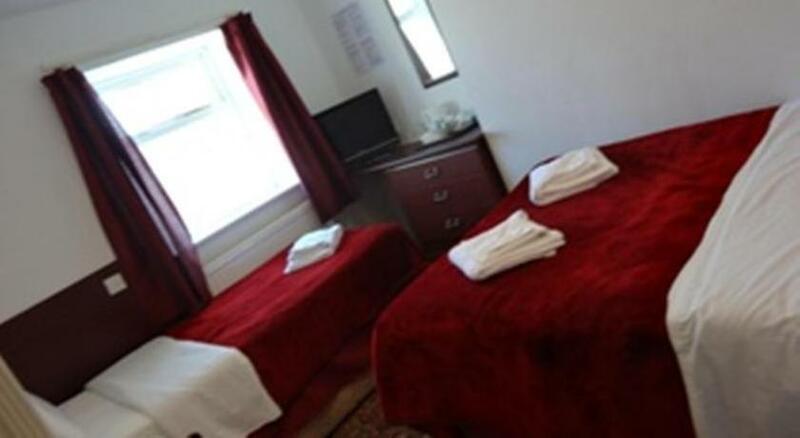 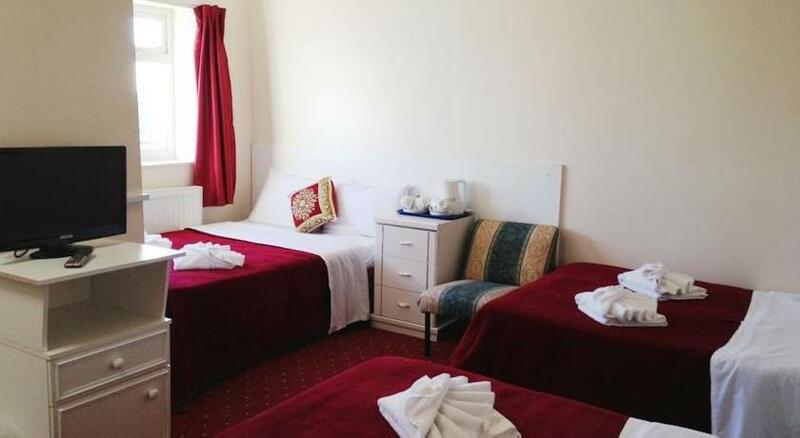 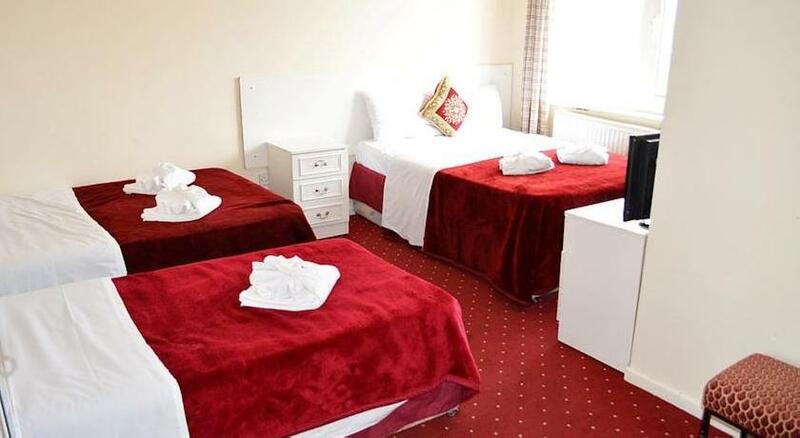 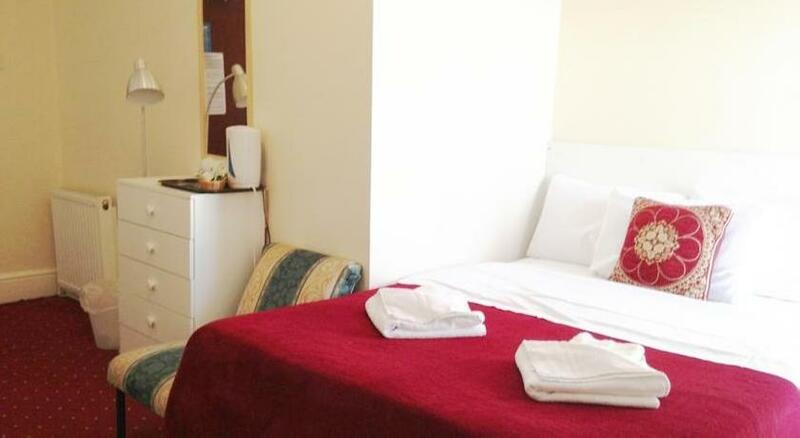 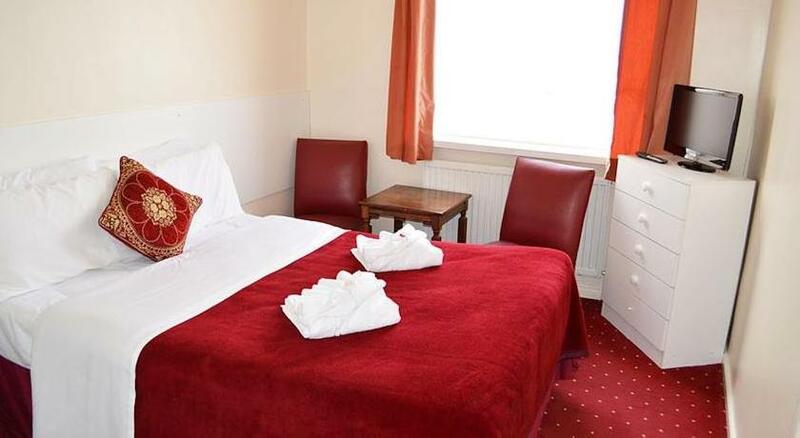 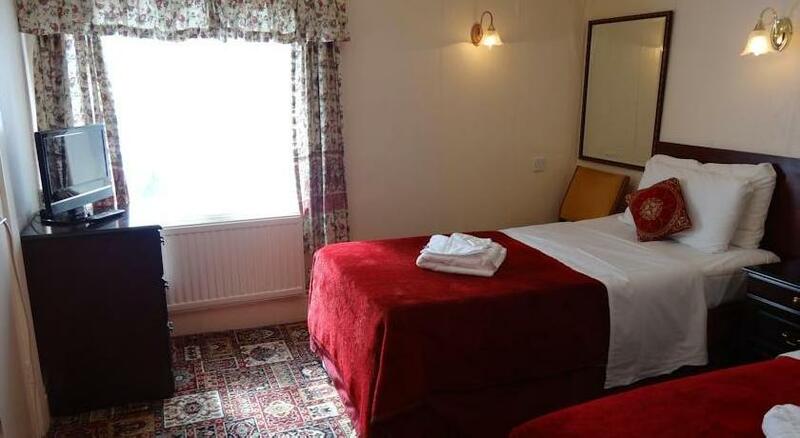 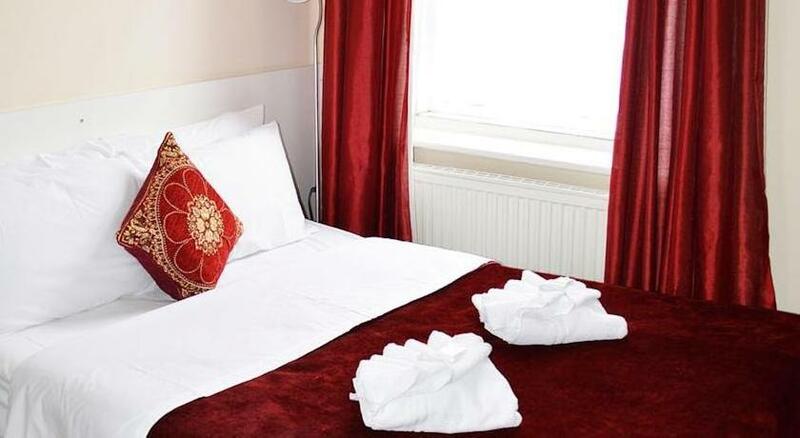 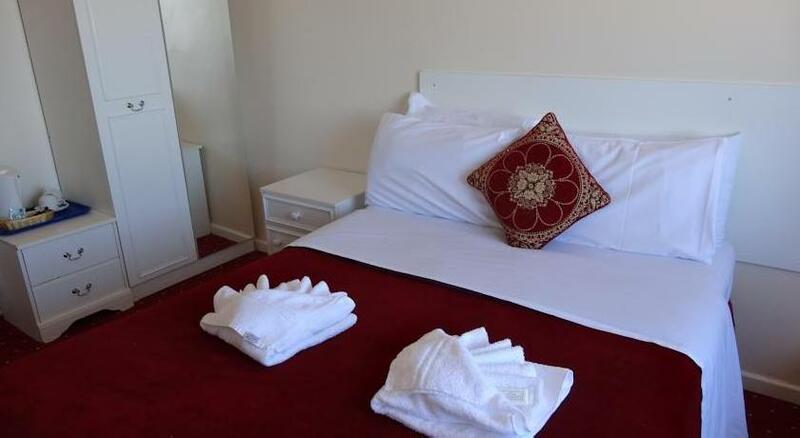 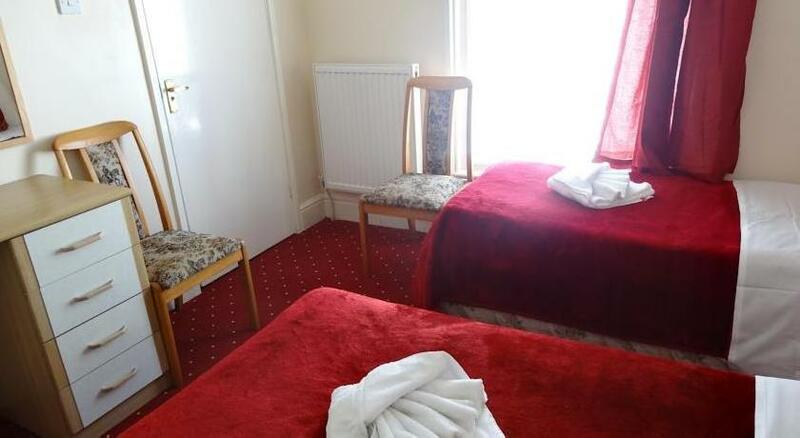 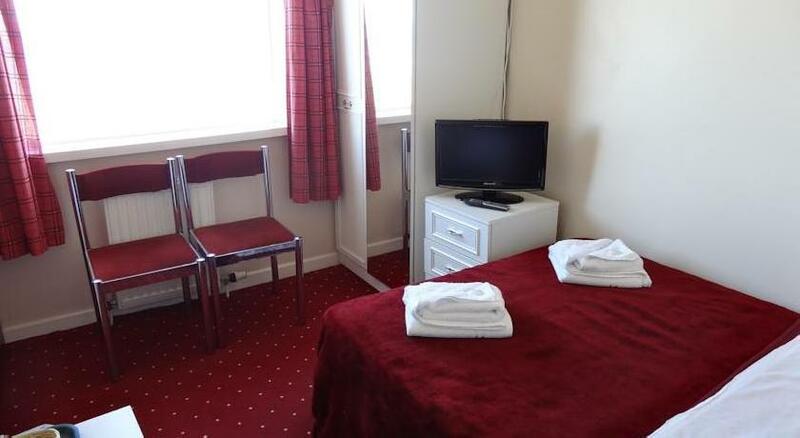 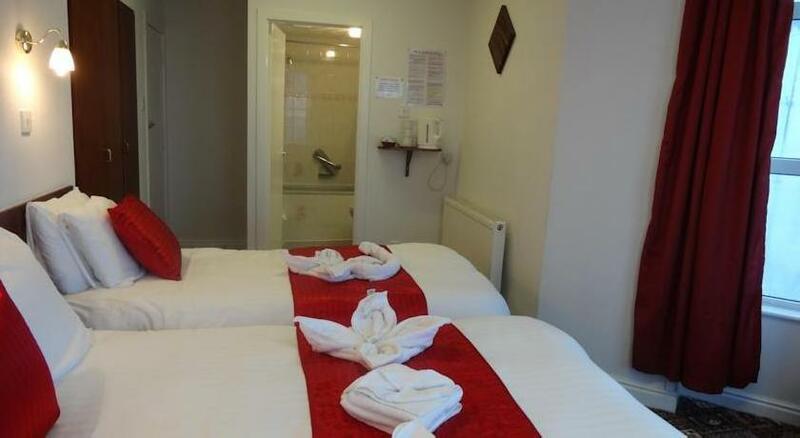 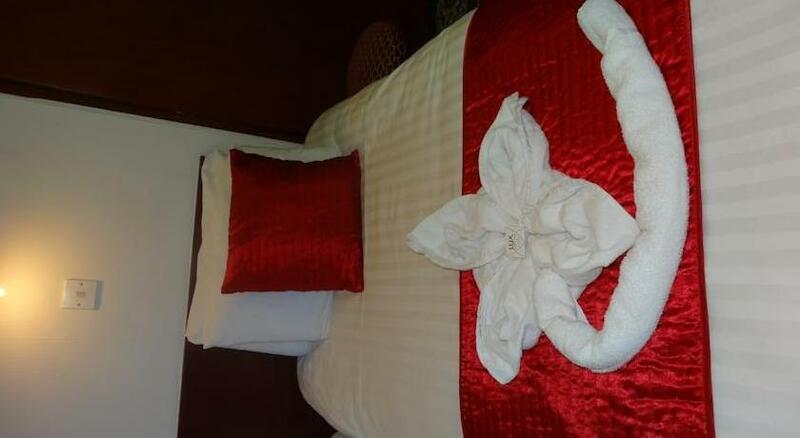 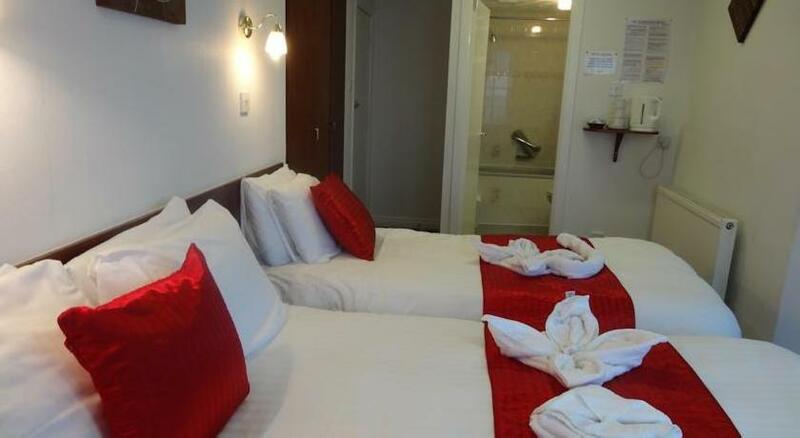 Main advantages: Kenisington is a very friendly family run hotel , its on the sea front near all shop's , pubs and across the road from the beach . 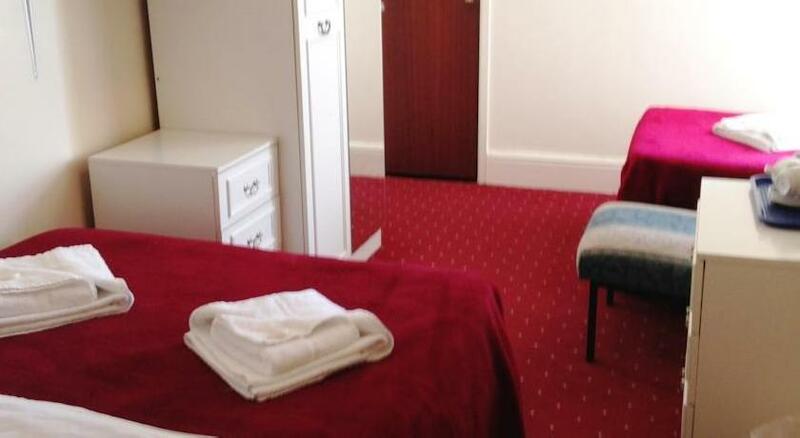 The rooms where clean . 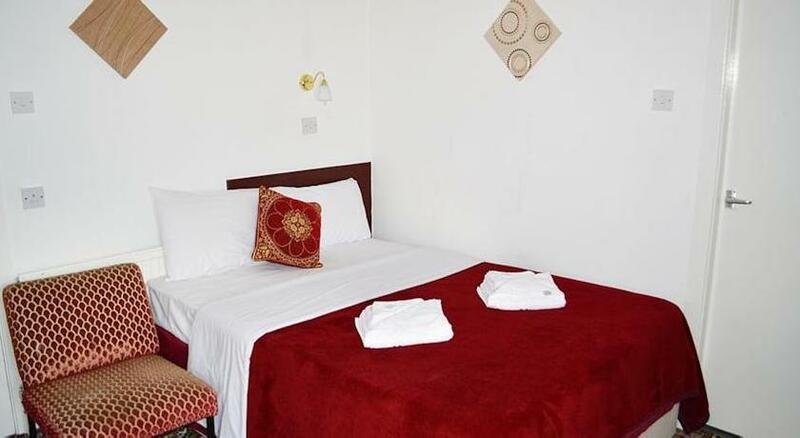 Please note that should a booking be made for more than one night, 50% of the total amount is payable as a deposit and is non-refundable in the case of cancellation or no shows. 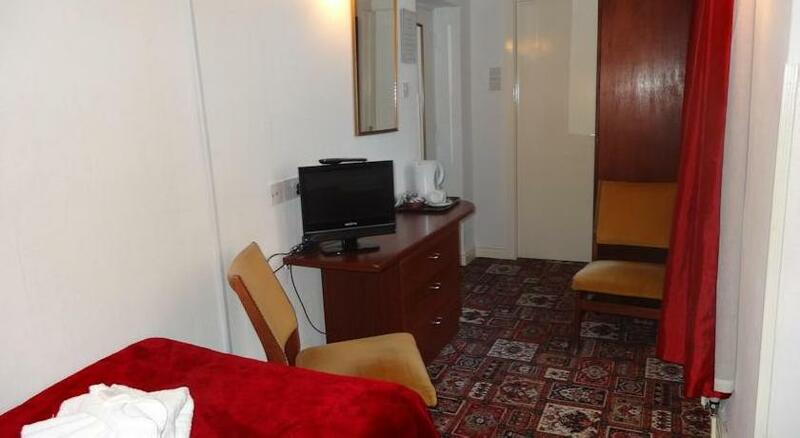 Please note that this property cannot accommodate hen and stag parties. 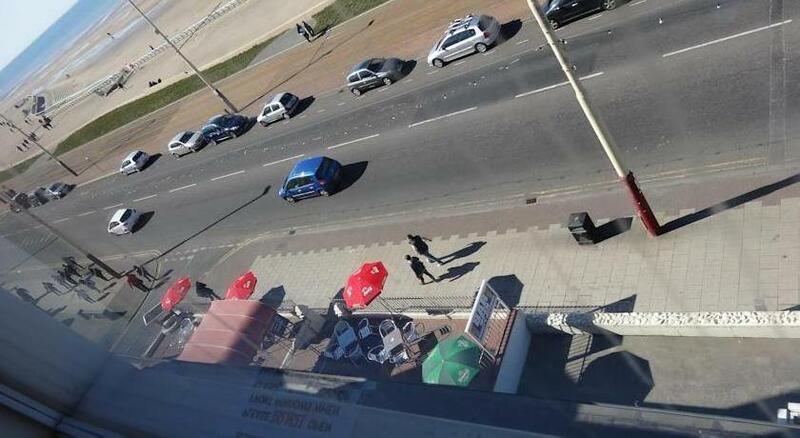 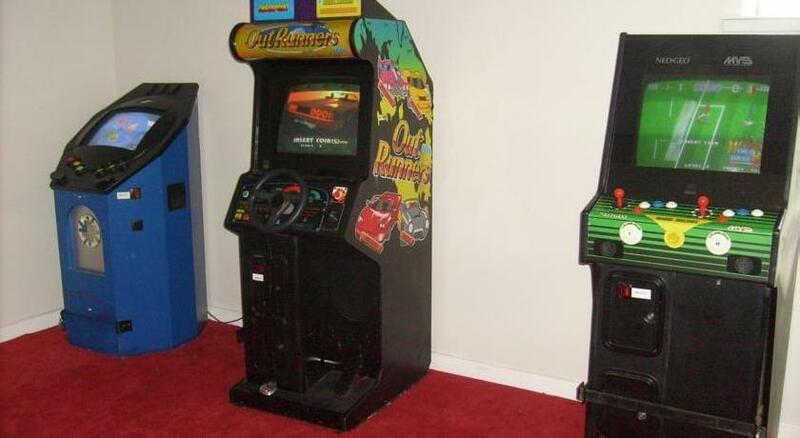 Please note, parking is very limited. 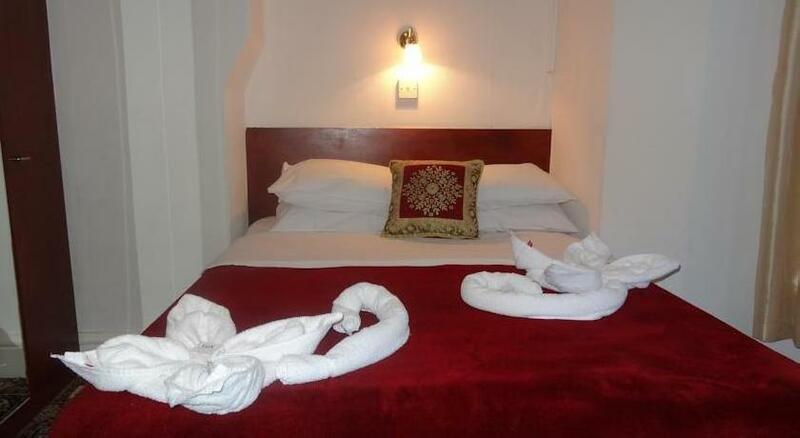 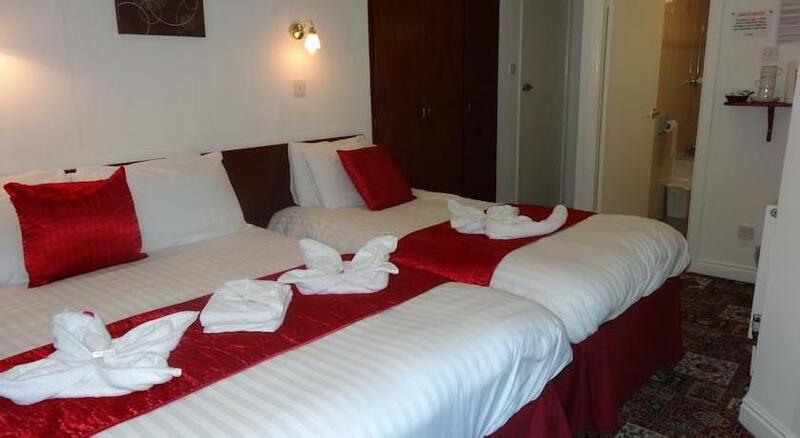 All debit or credit cards details which are provided for room deposits will be used for a room security as well. 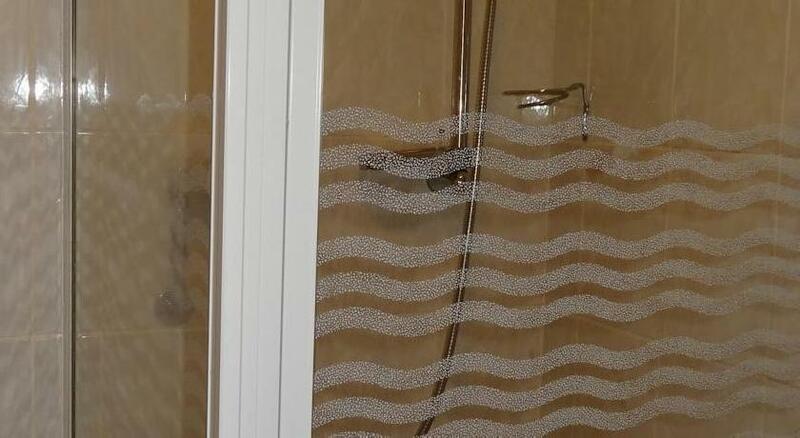 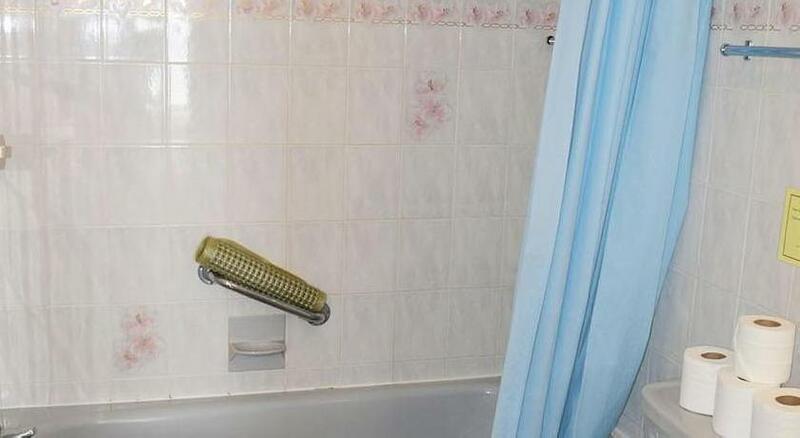 If there is any damage to hotel property, however caused, it must be paid for. 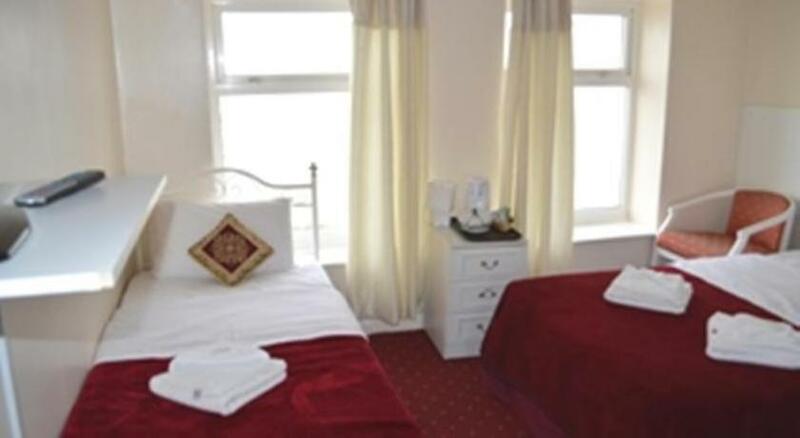 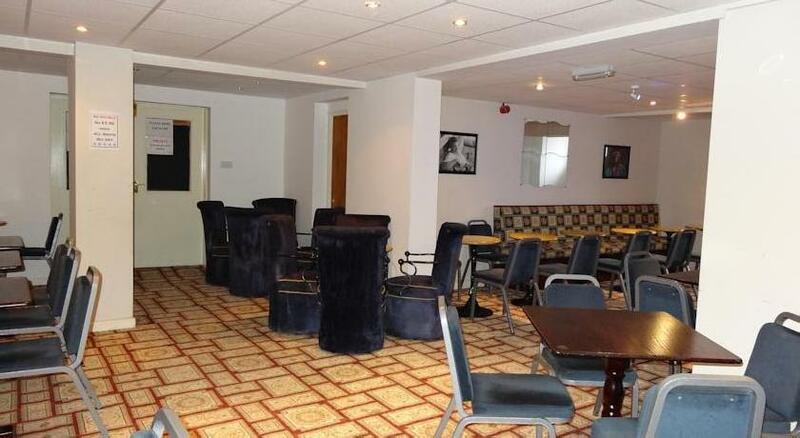 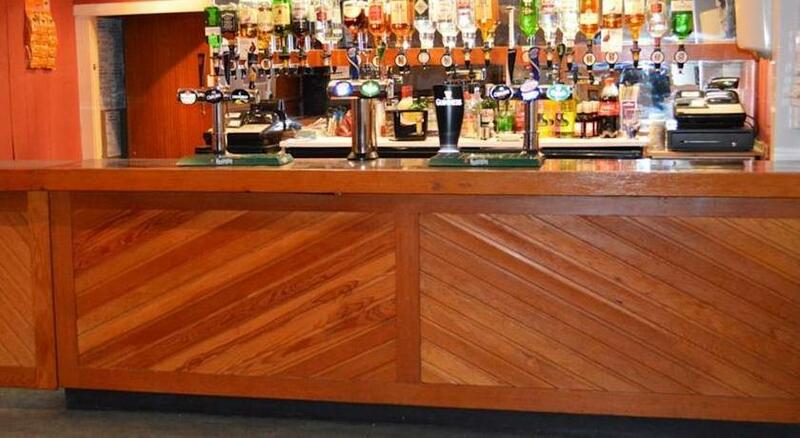 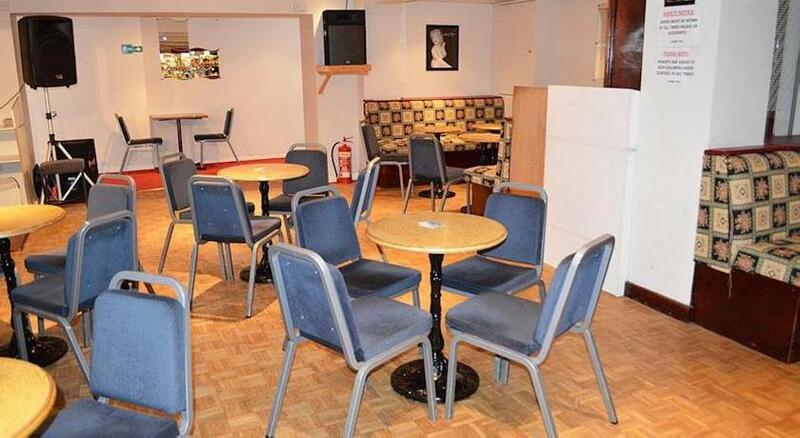 We have included all charges and information provided to us by The Kensington Hotel. 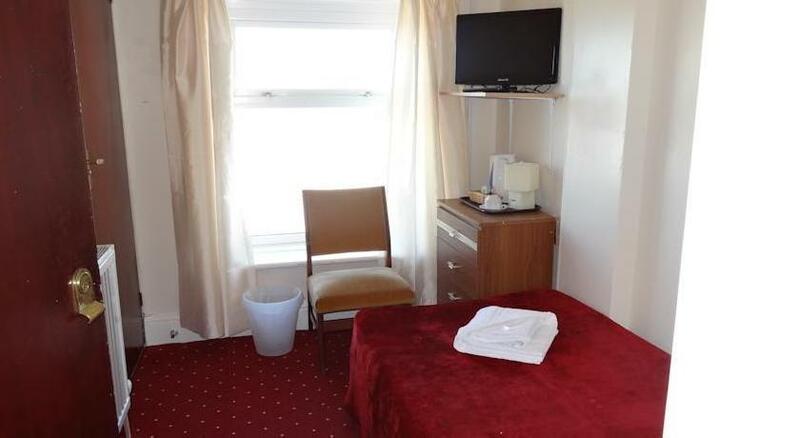 However, charges can vary, for example, based on length of stay or the room you book.